A dental crown may range between $500 and $2,800 per tooth. The price is greatly determined by the material used in its making, but there are other factors included. The most expensive are metal crowns - $1,500 and up. Resin and stainless steel crowns are on the low end of the price spectrum, starting at $300 per tooth. Porcelain crowns are available for $500-$800 per tooth. Like every other part of the human body, your teeth are prone to health conditions and diseases such as cavities, plaque, and decay. Some of these may worsen to the point that a crown is needed to fill in a missing tooth or a reduced one. There are various types of dental crowns available, each of which has a different lifespan and durability. To find out what makes them differ from one another and which one is suitable for you, keep reading until you reach the bottom of the page. A dental crown is an object that is placed over a damaged tooth to protect and strengthen it. It’s also called a cap. The procedure normally takes place over a span of two or more visits to the dentist. On the first appointment, the specialist will remove any decay, if such exists, and reduce the tooth to the desired shape and size. The goal is to allow enough space for the crown. Sometimes an X-ray will be necessary to determine whether the roots are in good condition. If there is a risk of infection or gum disease, you will need to receive a root canal treatment. Next up, the dentist will take an impression of the teeth. That way the dental laboratory can make a model of your mouth and create a crown that fits your individual bite. 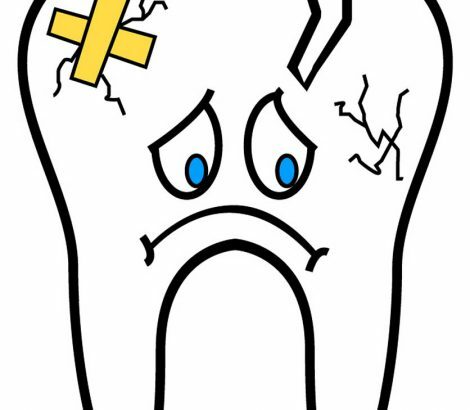 Because it’s uncomfortable to eat and drink with a reduced structure over a period of two weeks, the dentist may put a temporary crown in the affected area. It will be made of plastic or metal. It is easily removed because the cement is temporary too. On the next visit, you will have your permanent crown cemented in place. When done right, it encloses the visible part of the tooth above and at the gum line. Porcelain, or ceramic, crowns are the best aesthetic replacements for incisors and canines. The reason behind this is they blend perfectly with the colour and overall appearance of the teeth. They are not to be used for pre-molars and molars, though. Like everything else, they have their pros and cons. One disadvantage is they can chip off much more easily than other materials. Due to the fragile nature of porcelain, heavy biting and chewing forces plus extreme temperatures are a big no-no. In addition, your teeth may become hypersensitive to hot and cold after the fitting. Not only will you cringe every time you have a bite of something warm or cool, but you risk damaging the material. Another disadvantage is that a lot more of the initial tooth structure needs to be reduced for the crown to fit onto it. On the plus side, porcelain is biocompatible, which means it’s not likely to cause gum problems or allergies as opposed to other materials. Another huge advantage is that the procedure is very time-efficient and can be performed in one single appointment. Last but not least, there is no risk of dark lines appearing on the crown over time. Porcelain does not lose its colour. 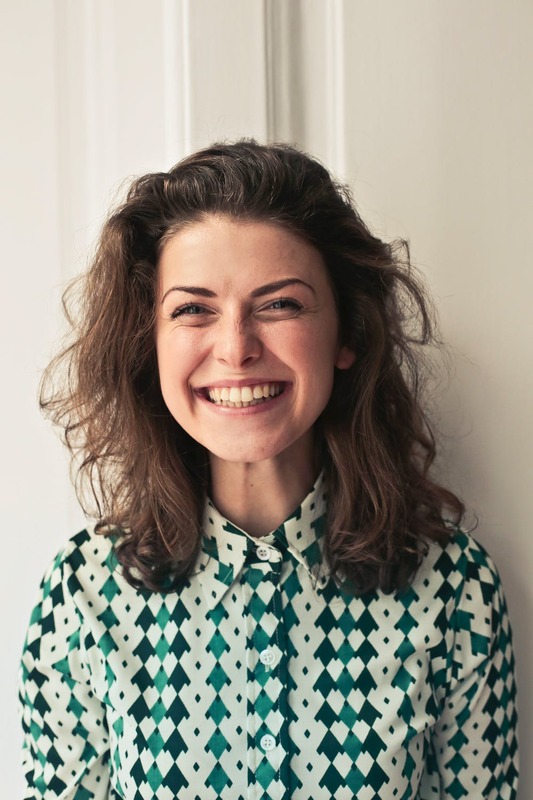 Metal crowns are notorious for their endurance, which makes them the perfect option for people with bruxism and strong chewing habits. Because their colour doesn’t really match that of the teeth, they had better be placed in the back of the mouth. The good thing is they need just a small amount of filling. Overall, the biggest drawback of metal crowns is their colour. It brings no aesthetic appeal and it can’t be used on teeth that are visible, like the front ones. The other concerning disadvantage is that people who suffer from metal allergies should refrain from getting those types of crowns. A PFM comes with a metal core covered with an outer layer of porcelain. It can be placed on the front teeth because of the naturally-looking colour. This type of dental crowns is quite durable and long-lasting. They can easily handle heavy biting forces, but, unfortunately, they might cause wear and tear of adjacent teeth. Also, since the outer layer is translucent, it can make the metal underneath it show through. That’s quite an uncomfortable moment for patients. It takes two or more appointments to complete a replacement using a PFM. Gold by far is the best dental crown material in terms of durability. It’s also a popular choice because it doesn’t cause as many reactions as metals, plus it has less sensitivity. The negative aspect of gold crowns is that they are not aesthetically appealing as compared to porcelain crowns. The yellow colour stands out from the natural teeth and ruins the appearance of the mouth. For this and other reasons, it’s best that they are mounted in the back. If you happen to have bruxism, this is the kind of material you need. In general, these are used as a temporary measure. They are often placed on children to protect a primary tooth from further tooth decay. Many parents stick with this option when their small ones have a hard time following good oral hygiene practices. The best part is, stainless steel crowns naturally come out when the permanent tooth begins to grow, so there is no need to visit the dentist. These replacements are easy to make. A single appointment is usually enough to get the job done. These look good on the teeth and blend with the rest of the structures. They are also quite affordable. The problem is, they wear down too quickly, which means they are not so inexpensive after all. Overall, the material is less durable than that of PFMs. It depends on the material it is made of. The average lifespan is 5 to 15 years and some crowns can hold up 25 years and more. The minimum shelf life is five years, which means that insurance companies will pay for a new crown if one is needed before the period has expired. A dental crown may range between $500 and $2,800 per tooth. The price is greatly determined by the material used in its making, but there are other factors included. That plus, different complications that need treatment prior to the procedure will add to the cost. 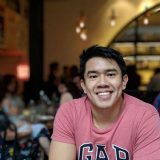 The most expensive seem to be metal crowns - $1,500 and higher; however, considering their durability, they may actually result in being cost-effective in the long run, just like with the Invisalign braces, you pay more but you get a better result that lasts longer than the cheaper options. Resin and stainless steel crowns are on the low end of the price spectrum, starting at $300 per tooth. 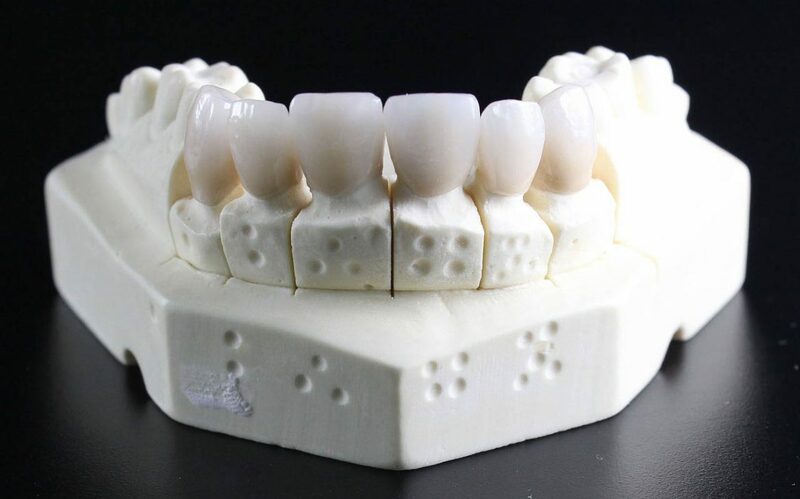 Porcelain crowns are available for $500-$800 and more. Of course, they are fragile and easy to fracture. What you should know is some part of the cost may be covered by your insurance company. Be sure to check with them on this matter. These are metal frames or posts that are operatively placed into the jawbone. They enable dentists to adjust replacement teeth on them. They can also be used to support crowns and bridges. Here is the thing. Some people have poor ridges, sore spots or gagging in the affected areas, which makes placing a bridge impossible or uncomfortable. In those cases, a dental implant helps secure the tooth in place so that it doesn’t shift in your mouth when you eat. In order to receive one, you need adequate bone for support and healthy gums. Besides, implants are in the high price range, with most dental insurance companies covering no more than 10% of the fees. Health and beauty almost always come hand in hand, and more often than not, one always affects the other. Getting lip fillers is no exception because it physically alters how your face appears to you and to other people. Lip fillers entail a simple intrusive procedure where a type of hyaluronic acid is injected under the skin of the lips to make it plumper or bigger. What are the lip fillers? It will make your lips look whichever you desire, however, there are a few things you need to keep in mind before you get your lips done. Any form of body alteration come with their own risks and rewards, and since you are probably halfway in thinking this through, you have to consider if you are capable of what lip fillers will entail before and after the procedure. Do you have sensitive skin? Do you bruise easily? Do you have current prescription medications? Are you prone to cold sores? These are only a few of the things that you need to consider before having your lips done. Of course, the doctors will also check on these, but it’s better to be already prepared beforehand. If you are sensitive to specific allergens, you may specify this with the doctor during the consultation and provide your health record. If you are not aware of what you are allergic to, it is advisable to have yourself checked first. You can also inquire about the lip filler clinic if they provide a scratch test on an intradermal skin test for allergies to save you some time and effort. You can opt to have the test first at a hospital or specialist before your appointment if they don’t have the service at the clinic of your choice. Bruising is another factor you have to consider because the filler will intrude under your skin, literally forcing in between skin and muscle. In a sense, it is a minor injury and it depends on your body’s capacity to heal to know how long you will recover from the procedure. Another concerning factor is your probable tendency to have cold sores. These types of sores are caused by the Herpes Simplex Virus and can easily be contracted through sharing of lip products, utensils or glassware. 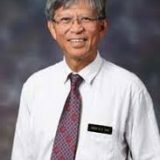 According to statistics in Singapore, more often than not, people are usually unaware that they are actually carriers of the said virus. If you have been tested vaccinated against these types of viruses, then there is no cause for worry. Cold sores are a cause for concern with having lip fillers because the procedure is aggravating the skin on your lips and may cause an outbreak. If you have never had a case of cold sores in the past, there is lesser need to worry, however, if you have had this case in the past, the doctor may advise you to take Valtrex a few days before the procedure as a precaution. 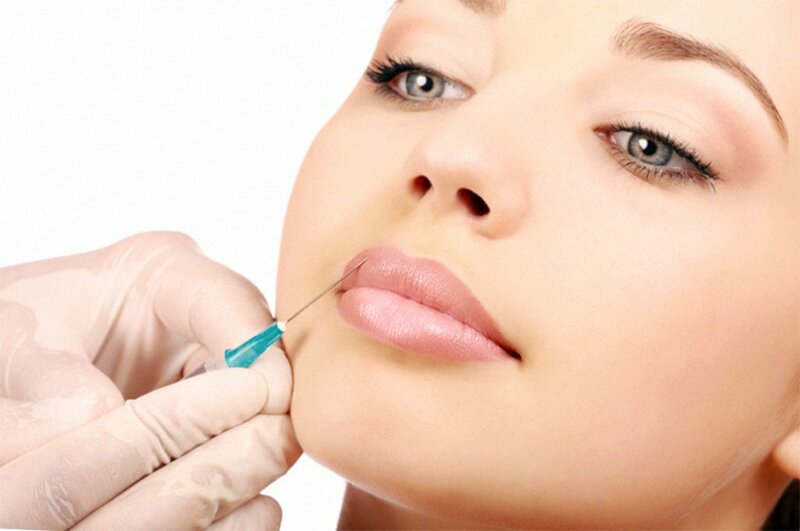 Considering the health factors related to getting lip fillers done, it is no surprise that their prices can range from 800 to 2000SGD per 1mL, depending on the brand of filler. The clinics involved with such delicate procedures make sure that you get the care that you need. Brands like Juvederm and Restylane are two of the most common brands used, so you can look up reviews related to these fillers and which clinics use these brands. If there are any components in either that you are allergic to, you can also consider looking for other brands in the market that have good reviews. You will want to have your good money spent wisely on yourself. Body alteration is already becoming more and more common in Singapore. What once was considered taboo is slowly becoming acceptable. Due to this, it isn’t difficult to find a recommendation for a clinic for plastic surgery or other similar clinics. 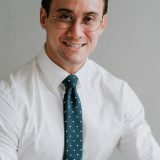 There is a dozen of different clinics offering lip filler services in Singapore but despite recommendations, you have to enter with the mindset that you need to be comfortable with the clinic staff and the doctor who will do the procedure. Remember, even if they have high ratings, but if you feel uncomfortable, you have all the right to turn down a potential procedure from one clinic to look for another one, or to go to your backup one. Remember, the priority for finding the right clinic is that you can see that they respect your personality and treat you well even before the procedure. The doctor will probably advise you on what to do and what to expect, but for starters, you have to remember to avoid any medicine that has blood thinner components that may affect your bruising rate. Medicines or multivitamins may have these, specifically anti-inflammatory drugs, aspirins, vitamin E or fish oils. If you enjoy alcoholic beverages or coffee drinks, it is also advisable to avoid them for a few days before the procedure. There is also some conflict about the use of numbing creams before the procedure. Some would opt for it due to the pain the procedure causes, even if numbing cream causes inflammation. Some would opt not to have the cream despite the pain to fully see the effect of the lip filler during the initial injection. If you have high pain tolerance, you can opt out of the cream. Discuss with the doctor of your choices so they would be able to administer the filler according to your preferences. If you’re not yet sure of how big of a change you want for your lips, you can have half an mL reserved for you for another appointment once your lips are healed and have seen the final result. 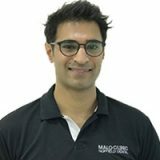 As discussed earlier, the procedure will cause some bruising and asymmetry but the clinic will provide you with the appropriate post-injection care. Like any type of bruise, do not aggravate the injury and apply a cold pack as necessary, on and off for several minutes as instructed. Have a topical cream ready for cold sores in case an outbreak occurs. Depending on how the filler forms under your skin, the doctor may advise you for the need to massage your lips now and then to even out the filler. Despite how much having fillers cost, the effects only last from six months to a year, depending on the brand type. It depends on your preferences on how long you want to have lip fillers or if you want to commit to such augmentations for the long run. If this is your first time, it is advisable to try it out first and see for yourself if having lip fillers is something you want to commit to. Carbon laser peels are one of the cheapest face lasers in Singapore. Most aesthetic clinics and doctors charge between $100 to $250 per session. Carbon laser peel rejuvenation is the latest treatment in Singaporean beauty centres that sets the skin cells in regeneration mode. It is a type of laser resurfacing procedure which uses a combination of carbon and light to remove debris from the face, with noticeable results from the first session. Let’s have a look into its perks and features. Now, to explain it in more detail, it’s a type of non-invasive facial procedure designed to rejuvenate and exfoliate the skin. It involves applying a thin layer of liquid carbon to reach deep into the pores and make them shrink. Then small bursts of laser light are shone onto the face, creating multiple mini implosions and vacuuming up the particles. Technically, there is no need to manually remove the paste, as the beams end up destroying the carbon and sucking away any left-off contaminants. The heat also promotes new collagen growth, which is linked to younger-looking skin. The use of carbon particles in addition to the laser only makes the treatment more powerful and effective. It comes with minimal to no downtime and aims to make the skin smoother, softer, and firmer. The end result is a glowing complexion, no dead skin cells or oil, and fewer blackheads. The procedure goes by other names as well. 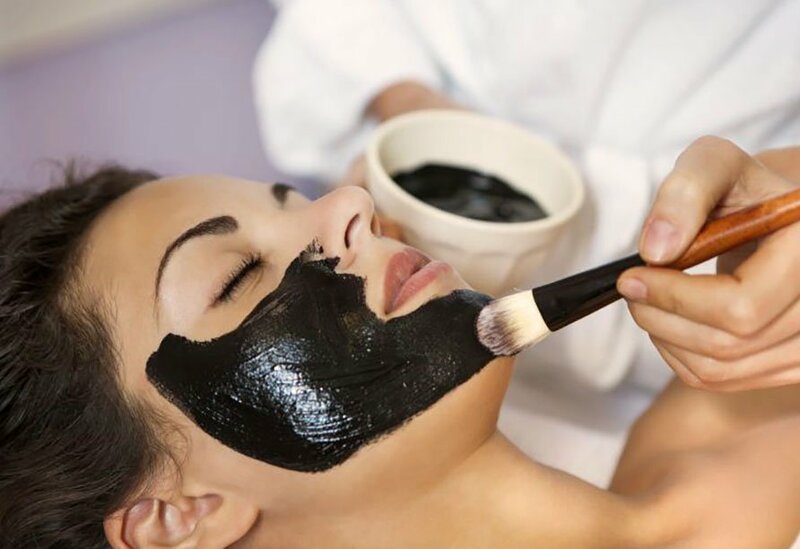 You can often hear the term charcoal facial thrown around to refer to it. Sometimes it’s also called China doll peel. Who Makes for a Good Candidate? Carbon laser peel rejuvenation is beneficial for people who would like to address oily skin, acne, pigmentation, and other problems with their complexions. The good news is that the procedure is appropriate for all ages as the carbon carries no risk and can be used on any part of the body. When it is applied to the skin, it penetrates deep into the pores and catches on to impurities, which then get blasted away by the laser. 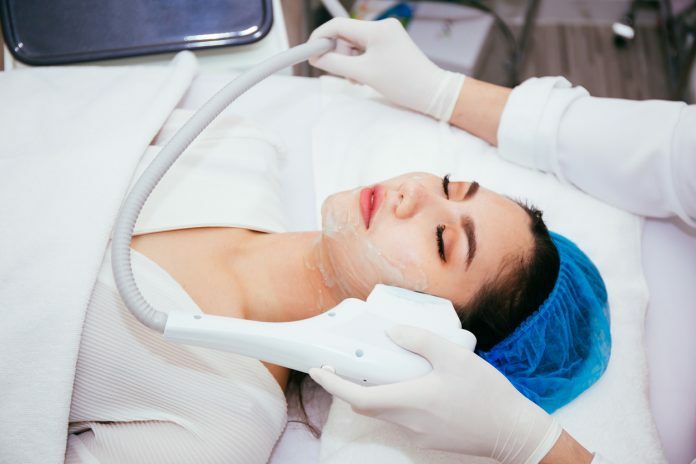 A single procedure will make a significant impact on how your skin looks and feels, so there is no need to go through multiple sessions if you don’t want to. However, if you are looking to achieve long lasting results, you need to schedule regular treatments, spaced 2-4 weeks apart to allow enough time for your face to recover. Having a carbon laser peel once or twice a year will ensure that your complexion stays rejuvenated at all times. The treatment should not be painful at all. 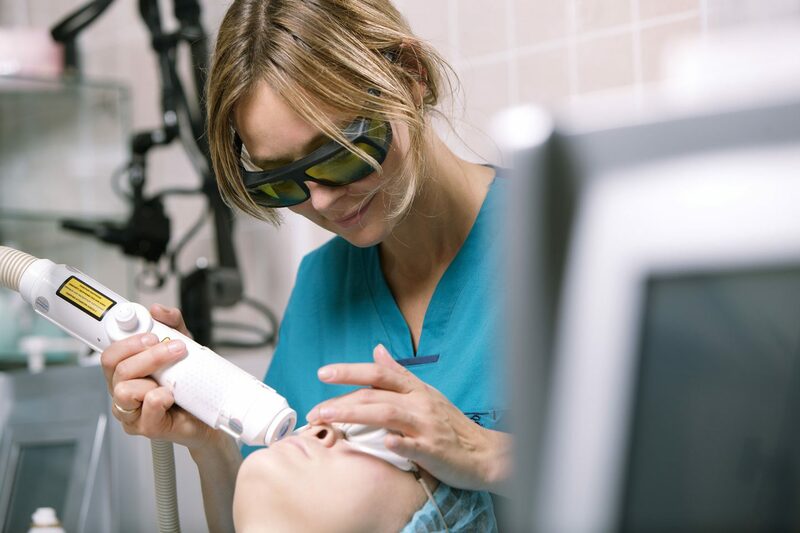 While the specialist is using the laser, you may feel a warmth and slight stinging on your skin. That’s perfectly normal and nothing to worry about. Are There Any Side Effects to It? The carbon laser peel treatment may cause redness, swelling or itching which resolve on their own a couple of hours after the procedure. However, this is a rare occurrence. In most cases, you will experience no side effects at all and your skin will be glowing immediately afterwards. If it becomes so red, you can’t stand it, you can always camouflage it with makeup. The majority of laser types are designed to deliver a single wavelength to the treated tissue, but there also are devices that can use extremely short bursts. Those are called Q-switched lasers. Their unique property makes it possible to treat sun spots, freckles, tattoos, birthmarks, and other pigment-related conditions. 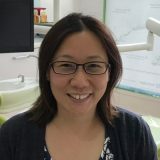 What Shall I Do Pre- and Post-Treatment? It is vital to avoid exposure to the sun prior to getting the procedure. You should have no tan, whether fake or natural. Make sure to wear a minimum of SPF30+ on a daily basis. Also, you will be given additional tips on how to prepare your face with specialised skin care products that should be used a couple of weeks beforehand. As for what you should do after you undergo the treatment, same rules as above apply. Furthermore, you want to avoid excessive sweating 24-48 hours afterwards, so skip the gym. And don’t forget to follow the specific instructions given by your doctor. Both procedures achieve similar results, however, there are a few differences to point out. For starters, it’s the way each one works. Chemical peels use a chemical reaction to yield the anticipated effects. They have different depths and can target mild to moderate wrinkles and skin imperfections, even acne scars. Since the strength of the treatment varies, a few days of downtime might be necessary. Considering it’s a little tough on the skin, it should be noted not everyone makes a great candidate. In comparison, a laser peel addresses most of these problems too, but, sticking with monochromatic light instead, it is much gentler and does not require any recovery time. You can walk out of the doctor’s office and head straight into your normal daily activities. This revolutionary skin treatment is a bit ahead of everything else available on the market right now. That makes it suitable for people with sensitive skin and those prone to eczema. The cost of botox depends on the brand and area you inject. The 3 leading brands are Botox, Dysport and Xeomin. Most clinics charge $200 - $500 for wrinkles and up to $1,500 for jaw slimming. Unbranded botox from Korean, Taiwanese and China brands can cost up to 50% less. Patients should ask for the brand of botox used before deciding. Gone are the days when Botox treatments would be frowned upon. Today, it’s not so uncommon to undergo a cosmetic procedure. Everybody does it. Since hitting the market in 2002, the famous injectable has turned into a billion-dollar industry. Not by surprise, though. Being a minimally invasive procedure with quick results is why people in Asia and elsewhere are so into it. 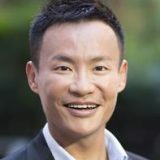 But although getting Botox in Singapore might no longer raise your eyebrows in disapproval, it is still little talked about. That’s why we’ve assembled a blog post with all the information we could find about the treatment. So, keep reading. What is Botox? Is it really toxic? 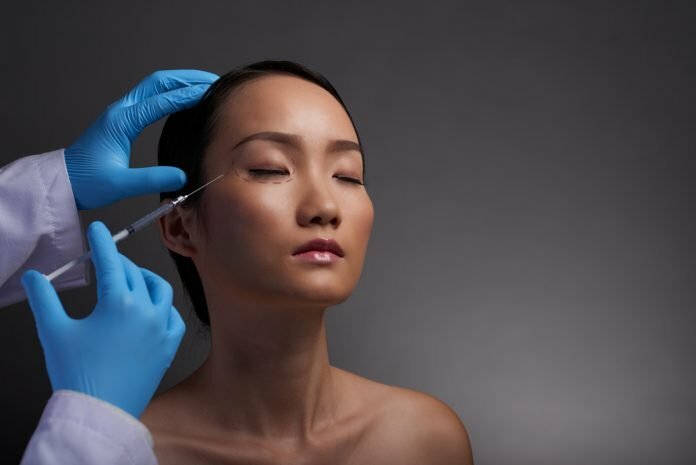 Botox is a short name for botulinum toxin: one of the most common ways of non-surgical wrinkle removal in Singapore these days. Technically, it’s a poison derived from a bacterium found in canned meat and fruit. 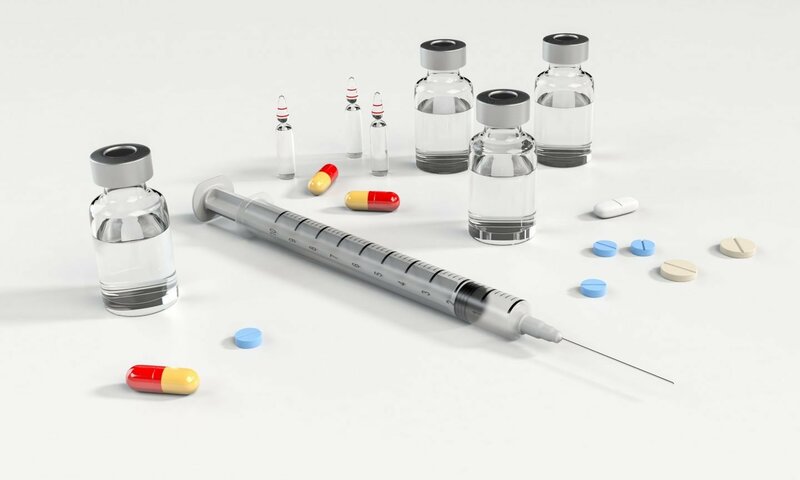 So, how come a deadly substance is used in cosmetic procedures? Isn’t that risky? Don’t worry. A small dosage is anything but dangerous and it can have a positive impact on our appearances and lives. As scary as it sounds, Botox works by paralysing the muscles. It is precisely this property that allows doctors to smooth out fine lines and make the skin look more youthful. Now, there are different botulinum toxin types. Type A is the one we’ll focus on here because it’s exactly the kind they use for cosmetic purposes. Just so you know, the end product also contains sodium chloride and a protein called albumin. It works by relaxing the facial muscles and reducing the creases. The most common requests are for frown lines. A muscle is generally given one to three injections. There is none. 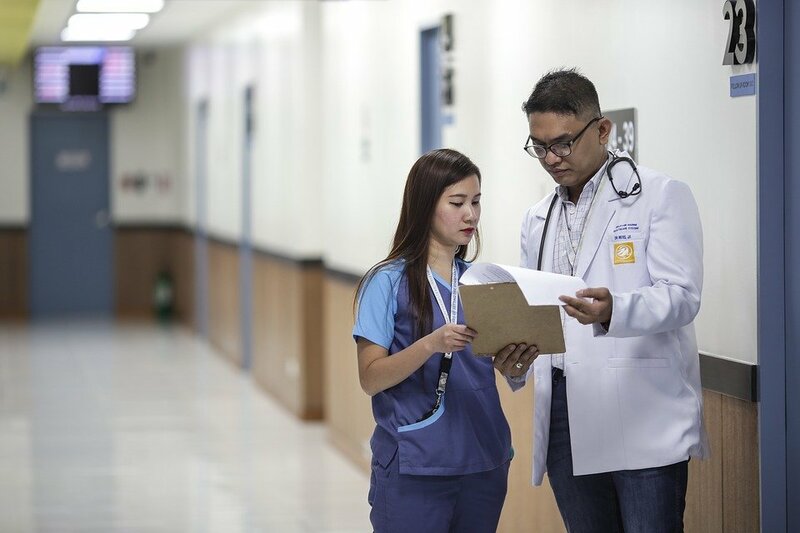 Unless something goes wrong, you will be walking out of that doctor’s office right after the procedure, ready to pick up your daily activities where you left off. There are a few things you can do, though, to make sure that everything is okay. Some doctors discourage patients from wearing makeup around the injection site or lie down a few hours after the treatment. However, other specialists claim that there is nothing wrong with doing these things. So, do ask your dermatologist what is the best course of action. It removes frown lines, fine lines, crow’s feet, and wrinkles on the face. Not only that, but it can help treat medical conditions related to the bowel, bladder, and muscles. In addition, it reduces excessive sweating and helps with migraines. We bet you didn’t know that. It is faster, less expensive and less risky than plastic surgery. Botox Injections vs Fillers: What’s the Difference? The way that dermal fillers like Rejuran Healer work is that they plump areas which have lost volume. This helps erase wrinkles and fine lines. By contrast, Botox forces the muscles to temporarily stop working. It is not used to “fill in” any sunken areas. It just restricts movements so that you don’t do anything that causes wrinkles to happen. This is how it actually erases creases and fine lines. Q: How is the pain level? A: A lot of people are concerned that the procedure might result painful for them. What else would one think when there is a needle involved? Considering it’s more than one injection per session, it looks like a modern method of torture rather than a cosmetic procedure. But don’t worry. With the application of a numbing cream, it won’t be as bad as you think. Some areas might be more sensitive than others, but you are not likely to scream with pain. Plus, it will be over in seconds. Q: Are there any dangerous side effects of Botox? A: The general side effects include bruising and muscle stiffness at the injection site. However, you may also get swelling, bleeding, muscle weakness, headache, and trouble swallowing. Note that some of these might actually indicate the onset of an allergic reaction. If anything like that happens, it is important that you seek help from a medical professional. Q: How much will I pay for a Botox cosmetic treatment? A: An injection costs between $150 and $350. It is dependent on how severe your wrinkles are and which areas you want to have treated. Q: Can men get Botox? A: Of course. It is a common procedure for both women and men. In fact, some male patients are encouraged to undergo the treatment to make their complexions appear less stern or angry. Q: Can I make the effects last longer? A: Research suggests moving the muscles (the doctor worked on) right after the session is over. It sounds weird but it doesn’t hurt to try. Q: Does the angle matter? A: Only if the injection is going to take place around the eyes. This is a very specific area which requires a slightly different approach than the other parts of the face. The doctor has to get under the skin by a very small margin. Apparently, the only way to do that is by directing the needle at an angle. Q: Is there any way to minimise the risk of bruising? A: If you can, don’t take blood thinners for a week prior to the treatment. That includes both medication and supplements like ibuprofen (Motrin) aspirin, Aleve, omega 3s, fish oil, etc. Also, skip the gym on the day of the procedure. There is nothing wrong with working out, it’s just that it might make bruising more likely. Q: If it is a poison, then how come it doesn’t travel out of the injection site and into other areas? A: When used in small doses, it has the ability to stay localised. This is why it is of utmost importance to get treated by a doctor who is trained and licensed. 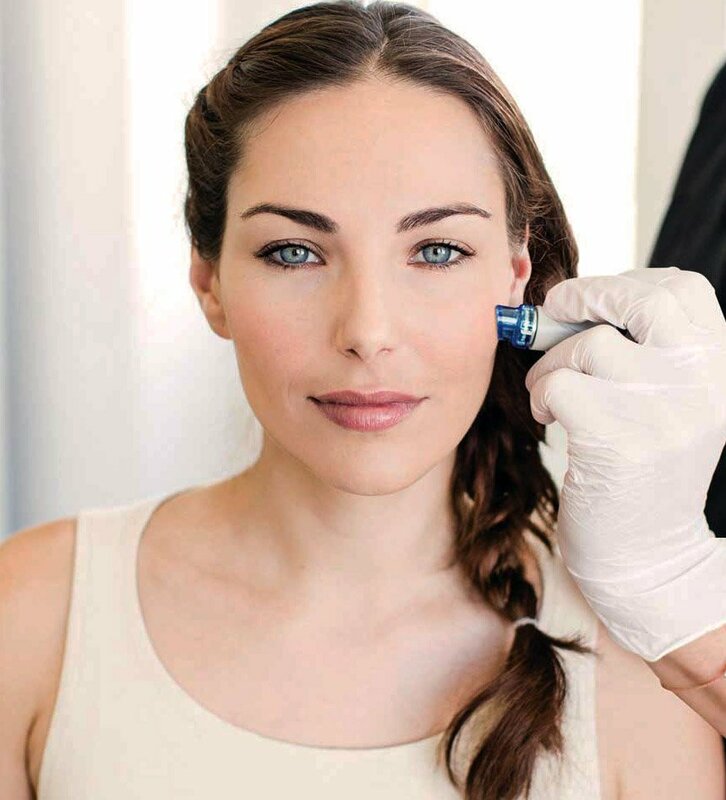 The injectable has come a long way since the day of its invention. A controversial topic as it is, it’s no wonder why so many fables were created around it. It’s time to debunk some of these myths once and for all. Myth #1: It is permanent and once you do it, there is no going back. After it takes a few years off your face, you’ll wish botulinum was there to last. But the sad truth is, you’ll need repeated sessions to maintain that youthful look. The effects remain about 4-6 months, which means you will have to schedule appointments twice a year for the rest of your life. Unless of course, you don’t need it anymore. The good news is that if at some point you decide that you want your wrinkly, mature look back, you simply have to let time do its thing. Myth #2: Botox leaves you expressionless. It is a common fear among people who still haven’t given the treatment a go. They are concerned that the substance will give them a frozen look and disable them from making facial expressions ever again. That fear is probably fuelled by celebrities who once did the Botox injections. And by once we mean a long time ago. All things considered, if you go to a licensed dermatologist, nothing like that will happen. It’s all about the right dosage and in this case, less is more. It’s always better to get a smaller dose and then return to the doctor’s office for a readjustment than to overdo it. You don’t want to end up with a frozen face for four months straight. That would be inappropriate. Myth #3: Botox treatments can wipe all the wrinkles off your face. We really don’t want to be bubble-busters here but – again – this isn’t quite true. To explain why we need to start off by saying there are two main wrinkle types: static and dynamic. The latter are those we develop from repetitive facial motions like frowning and smiling. The former is caused as a result of sun exposure and ageing. And here is the thing – Botox focuses on dynamic wrinkles and is not effective in treating other types of creases. There, we said it. On that note, if you want to address static wrinkles, you’ll have to reach up for a bottle of filler of some kind. But not without having consulted a specialist about it first. Myth #4: The outcome can be observed right away. Not really. The full effects are visible a week after the cosmetic injections. This is because it takes time for the toxin to block the nerve signals – generally 1-3 days. It is after this period that the results gradually begin to show until they reach a peak on the seventh-tenth day. 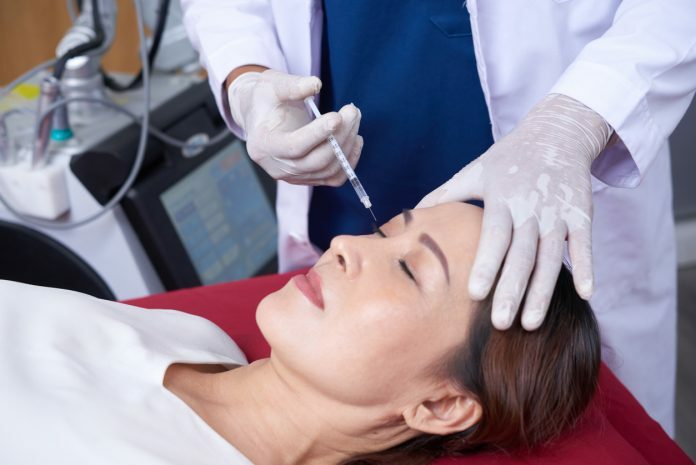 Let’s face it, the main reason why some people are deterred from using Botox as their anti-ageing go-to procedure is that they are concerned about looking unnatural. And the only way to avoid that is by finding a certified dermatologist or plastic surgeon. Do have a thorough consultation in advance, asking all the burning questions that come to your mind. Do tell the doctor what you want and what you expect from the treatment. And finally, ensure that you know what will happen from start to finish. If possible, take a look at some before-and-after photos of previous patients. And before we go, here is one more thing to take into account. Don’t try to look for discounts or bargain a price down. Botox is not a treatment you can take lightly. It’s not peaches you can buy for a fraction of the cost. There are some places that will try to sell you stuff that sounds too good to be true. Don’t fall for that. 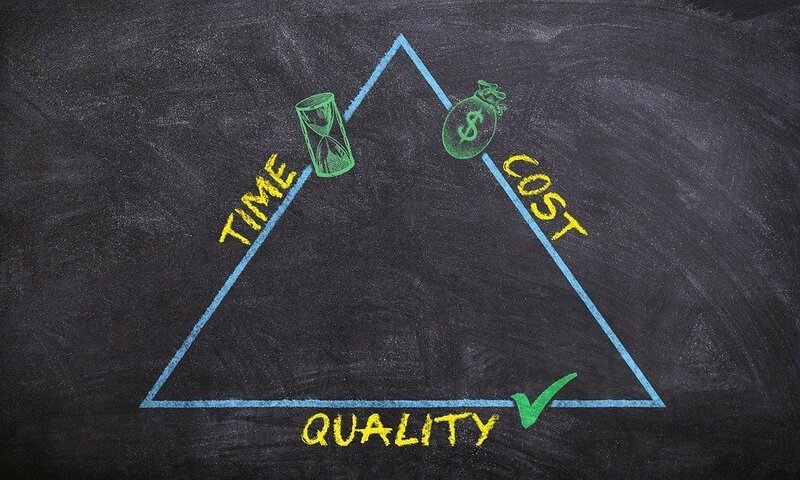 Always seek qualified healthcare professionals and remember that everything comes at a price. For centuries people have tried to reduce unwanted hair on their bodies. The techniques have been modified and passed down from generation to generation until today we have a whole lot of options to choose from. It’s fair to say the hair removal industry is at its peak – epilating, waxing, threading, and shaving, to name a few, are all readily available for men and women alike. Some last longer than others and some are more expensive. It’s all down to personal preferences, but the majority of people would love to say goodbye to their furry legs and underarms once and for all. Below, we will discuss the methods that bring long-term effects so that you don’t have to think about unwanted hair that often. Stick around. 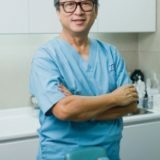 Laser treatment is a sought-after technique for different kinds of cosmetic procedures. Among other things, it has the ability to strip the body of hair. The way it works is that the hair follicle is bombarded with bursts of highly concentrated light, coming from a hand-held device. The light turns into heat as it is absorbed by the pigment, which causes the demise of the follicle. The method has been available for almost 30 years now and is a common way of removing unwanted hair for longer periods of time. 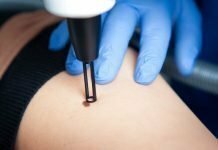 The biggest difference between this and other techniques is that laser treatment targets the tissue below the skin, whereas waxing, shaving, and tweezing all work above the surface. This explains why the latter deliver short-term results. Which areas can it be used on? Before the first appointment, you should make sure to shave the area completely. No waxing, threading or plucking is allowed. How many sessions are necessary for full results? We cannot tell you the exact number of procedures you need, as that varies per individual. But one thing we know is it’s going to be more than one session. The appointments should be spaced a few weeks apart. Here is why. Body hair goes through different phases – resting, growing, and falling out. At the time of the treatment, each hair will have reached a different phase, so not every strand will be there the first time around. What this means is that a single session will not be able to accommodate the full cycle at once. Hence the need for several procedures. In general, people who have light skin tones with dark hairs are the best fit for a laser therapy. The reason behind this is very simple. The light targets the pigment found in follicles, called melanin. To give you a better idea of it – the treatment soaks up the dark areas on your body in the same way that black surfaces absorb light. Hence, it is important you have relatively light skin where the hair colour does stand out. That way the device can target the melanin and spare the rest of the skin. Now, in many cases, laser therapy can work for light hair, but repeated applications are necessary. If you have medical conditions, such as diabetes or heart disease, or are pregnant, it is not advisable to undergo the treatment. At the very least, you ought to consult your physician about that. Mind you that tattoos and semi-permanent makeup can fade if laser light is shun onto them. It shouldn’t be painful to the point that you can’t tolerate it and pass out. The majority of devices these days come with cooling fans that help take away some of the discomforts. Plus, most offices use a numbing cream. Can the treatment achieve permanent hair removal? As much as we want to say yes, we’re afraid this is not how it works. It’s rather safe to call it permanent hair reduction. The procedure sends the follicles to a state of dormancy for a good while. And to be honest, that period extends way longer than that for waxing or shaving, which is probably why people assume the technique creates permanent results. Yes, with repeat sessions, you can ensure that all undesired hair never really grows back. But if you stop getting the procedures, the follicles will eventually “wake up” and your “fur” will come back. So, to answer your question, it can achieve long-term effects, but as for permanent hair removal – not so much. No more ingrown hairs – epilating and waxing can leave a parting gift on your skin that is visible and sometimes painful. You can say no more to that once you start the laser sessions. Cost-effective. In the long run, depilatory creams, wax treatments, razors and whatnot can become tough on your wallet. By contrast, laser therapy, although it seems more expensive up front, will save you bucks galore once you start getting results. No more skin irritation and razor burns. It works for people with sensitive skin. No tanning is allowed before or after the sessions. This includes fake tans and sun tans alike. If your skin gets darker, the procedure will not be effective. Laser therapy is not suitable for everyone. Like we said it before, as far as hair reduction is concerned, it works only for light skin tones where the hair is dark. It should not be applied to men’s facial hair. While you are having the treatment, you are not allowed to wax or epilate. You can only shave in the meantime. Sometimes side effects might be observed: redness and bumps, etc. It can be painful depending on your pain threshold. IPL is another popular hair removal method in Singapore that is based on light. In fact, it works on the same principle as the above treatment. The difference is that it emits scattered wavelengths of light rather than a specific one. This makes it quite similar to the effects of a flash-lamp. As a whole, the treatment is used for various cosmetic procedures. Needless to say, here we focus on its abilities to remove unwanted hair. Which areas is IPL hair removal used on? Just like it is with lasers, you make a good candidate for IPL if you have light skin. Ideally, though, your hairs will be dark. People with certain medical conditions like hormonal imbalance, epilepsy, heart disease, etc. should not undergo IPL. Individuals who take pills that cause light sensitivity are not a good fit either. Additionally, if your skin is tanned, whether artificially or by the sun, you will not qualify for the treatment. No, but they can last a good while. The same answer regarding laser therapy applies here. Again, it varies per individual. Your dermatologist of choice will tell you the number of times you are to have the procedure. Which is better: IPL or laser for hair removal? Although the two treatments are very similar, IPL is considered less effective. Since it spends out various light waves at once, therefore is more scattered, it becomes less powerful. It is less expensive than laser treatment. It is a very precise procedure that does not affect the skin. Slight side effects might be observed. Multiple sessions are required to remove hair fully. If you want to maintain the results, you will have to undergo IPL occasionally. It is not effective on grey, light or white hairs. 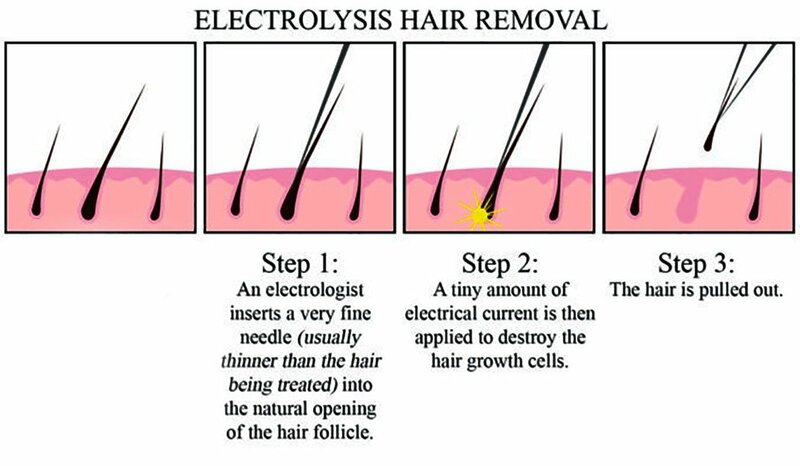 Electrolysis hair removal is another technique for long-term hair removal. It works by destroying the follicles either by means of heat energy or a chemical. In most cases, a specialist will insert a teeny-tiny needle underneath the skin which will emit electric current. Then individual hairs will be removed with tweezers. Which areas can electrolysis be used on? That’s pretty much all the areas where hair is not desired, right? The amount of procedures is different for different people. Your best friend might need 15 sessions, whereas you yourself may see results after eight treatments. It’s strongly individual. Who is a good fit for electrolysis? Generally speaking, everyone who is looking to get rid of body hair is a good candidate. There are no restrictions for age, gender, skin or hair colour. Whether your hairs are thick or thin, or maybe a combination of both, it doesn’t matter. If you’ve had laser before and now you are only left with a few sparse strands here and there – again, you are eligible for electrolysis. So convenient! So, who is not suitable for it? If you are not up for undergoing multiple sessions over a long period of time (some people do it for years), then you are not recommended to go for electrolysis. If patience is not really one of your best traits, you had better choose another treatment. Does it remove hair once and for all? Yes. After the electric current is sent through the follicle, the latter is then removed, which ensures that it will never have the chance to grow back. 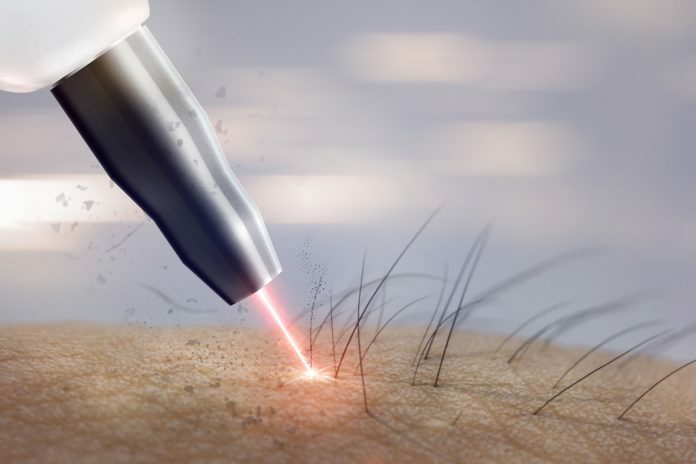 In comparison, what laser removal does is attack the follicle, but it doesn’t get rid of it. This leaves room for unexpected and undesirable hair growth. It works on a large variety of hair and skin types. It doesn’t cause ingrown hair. It can be used on the private parts too. Tip: it is a good idea to start off with a few laser sessions to ensure that the hair in that area is reduced, and then move on to electrolysis. This will make things faster. The method might be painful. A topical anaesthetic will help ease the discomfort (if it ever gets that unbearable). It takes time. Lots of time. The larger the area you want bare, the longer it will take for electrolysis for work. This is because hairs are eliminated one by one using tweezers. This also means that you need to make a host of appointments for satisfactory results. And with that, money is a factor as well. Who Should Be My Go-To Specialist for These Treatments? First of all, do not leave anything to chance. Make sure that you fully research the person that will do the procedures. Look for reviews and check their reputation. Second, you don’t just go to a random person who claims they can perform hair removal. You need a dermatologist who not only has a degree in this but also uses state of the art technology. Be wise about it and dedicate some time and thought about investigating the matter. Sciatica affects a large number of people in Singapore, particularly those between the ages of 30 and 50. It comes unannounced and puts your body through quite a challenge. Some individuals only get numbness and tingling, whereas others experience severe pain. Here is everything you need to know about the problem – from what causes it to how to treat it. 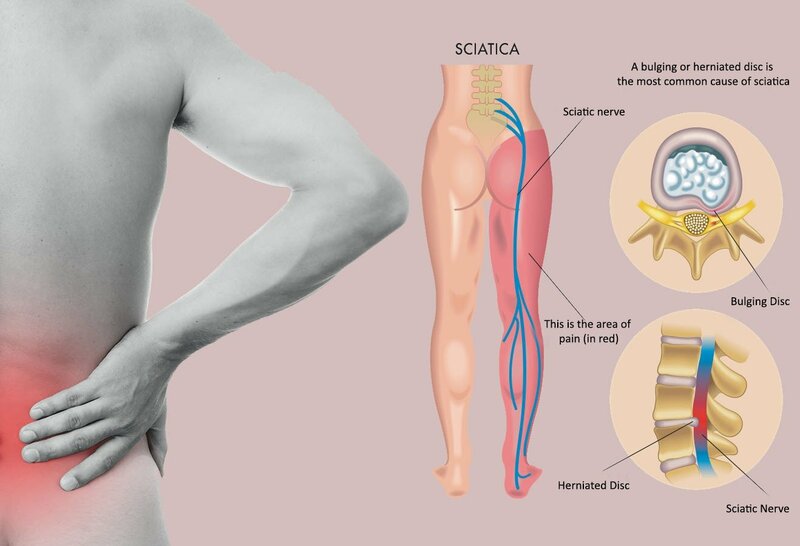 Sciatica is a symptom of a medical condition affecting the biggest nerve in the body – the sciatic one. When irritated, it results in lower back pain and sometimes affects the buttock area. In other words, it is not a malady in and of itself. It is rather an indication that something else is going on in the body that needs your attention. In most cases, the underlying ailment originates in the spine. 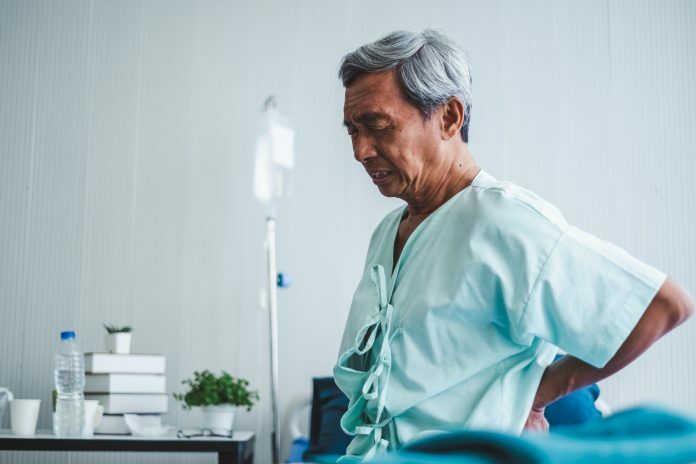 This is why the causes of sciatica include spinal stenosis, herniated disc, degenerative disc disease, and cauda equina syndrome. Moreover, other conditions can trigger the symptom, including muscle strain, fracture, infection, spinal tumour, etc. Last but not least, it is not unusual to experience sciatica pain during pregnancy. Discomfort in both legs is a rare occurrence. Sciatica usually manifests itself on one side of the body. Besides, lower back pain is not as strong as the one experienced in the lower limbs. It may come and go, become more intense or weaker. Also, during sudden movements of the body, the symptoms may intensify – think coughing and sneezing. The fact that the pain can travel from one area to another should not be surprising at all. The nerve roots of the sciatic nerve begin at the lumbar spinal cord, which is enclosed by the spinal canal. And then they reach down the buttock area. This allows them to transfer nerve endings to the lower limbs. There are different surgical and non-surgical ways to manage sciatica. The most popular one involves coupling medication with physical therapy. Many patients believe lying down for prolonged periods is the best thing to do, but that’s not the case. Being inactive can do more harm than good – the longer you sit, the more pressure you put on the discs. This is not to say you shouldn’t give your body a break. Just make sure you alternate rest and exercise. Since nerve pain can be anything but appealing, people also resort to over-the-counter medication. A common painkiller for sciatica is aspirin, as it helps to deal with inflammation. Ibuprofen and acetaminophen are also used for pain relief. Yet, medication alone can only do so much in solving the problem. This is why a combination of pills and exercises will produce better results. Physical therapy is a crucial part of the nerve pain treatment plan. When the right regimen is implemented, you can have a faster recovery and minimise prospective episodes of soreness. Your doctor will put forward the best course of action that suits your condition. In general, a mixture of exercises should be used for maximum results. Stretching – It is very beneficial for the whole body, as it helps to enhance your flexibility, daily performance, and coordination. When you already have a health problem like sciatica, stretching can help soothe the pain. It is crucial to stretch the hamstring – this is one of the thigh muscles located between the knee and the hip. Another exercise that will help ease the symptoms is called the Bird Dog move. You need to get down on all fours. Simultaneously extend one leg and the opposite arm. Hold for a few seconds. Then, alternate the limbs. Strengthening – Strengthening the muscles that support the spine can not only ease the pain but also prevent future damage. There are different types of exercises to go for, such as weight lifting, tai chi, yoga, and Pilates. In addition, you can try using an exercise ball and resistance bands. Aerobics – Stationary bicycling, swimming and walking are all low-impact aerobic exercises that can help you combat sciatic pain. They help release endorphins, which naturally eliminate pain. What is more, they encourage fluid exchange, creating an improved healing environment. Physical activity can help you stay in control of the symptoms, especially if you have developed chronic sciatica. It can aid the management of pain, but it cannot cure the underlying illness that is causing sciatica. Acupuncture is very beneficial for migraines, nausea, neck and back pain. Not to mention, it has proven to help with depression and anxiety. It definitely won’t hurt to use this therapy in addition to another treatment to lower the unpleasant symptoms. It will relax your muscles and increase the production of endorphin. There are other non-surgical options that can help diminish the symptoms and make you feel better. For starters, you can try applying cold packs on the painful areas for a few days in a row. And then you should switch to heat packs. This will ease the pain and reduce inflammation. Regular massages will make your muscles relaxed and yoga can have an impact on your whole body. An interesting approach to treating sciatica is biofeedback. This is a process that lets you obtain more information about your body’s functions. During the examination, electrical sensors are connected to your body. Thanks to them, you can get feedback regarding your heart rate, pain perception, and muscle tone, to name a few. Based on the data, you can make the necessary corrections so that your performance and health can improve. A very small percentage of people say 5-10%, use surgery as a last resort. When all else has failed, going under the knife seems to be the only option. The good news is that in most cases the symptoms go away on their own and no operation is necessary. However, conservative treatment may not work for everyone. For instance, a person whose sciatica has been caused by a herniated disk might benefit better from lumbar surgery. At the same time, another individual with a similar problem may find relief through different therapies and medications. So, it really depends on the case. In the end, you need to understand that what works for some may not work for you, and vice versa. It’s strongly individual. Find a good doctor that will make a correct diagnosis. Do not self-administer a treatment; a specialist knows better. Follow your doctor’s recommendations fully. You don’t have to undergo surgery if you don’t want to. The decision is up to you. 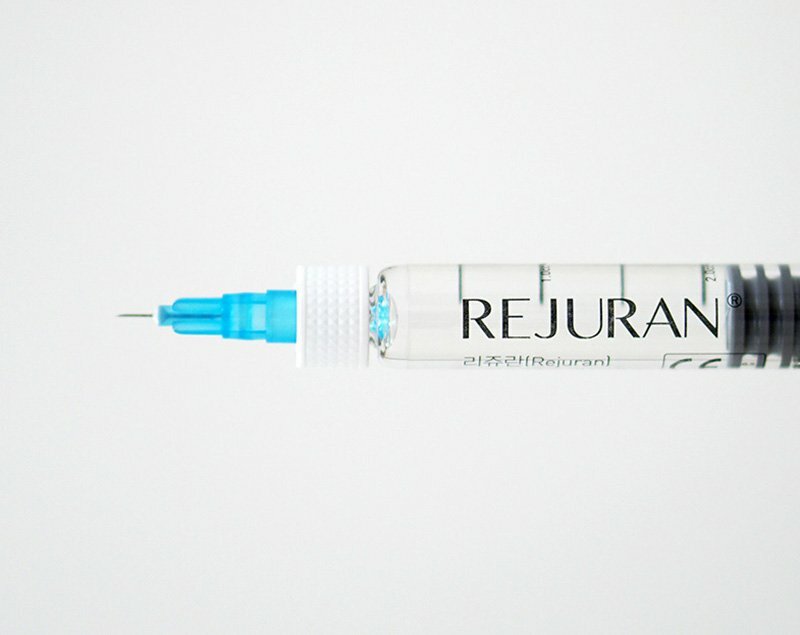 Rejuran is a straightforward injectible treatment offered at most aesthetic clinics. A full treatment usually costs between $500 to $1,500. The bulk of the cost is the doctor's time as the process requires multiple injections to the face performed by the doctor personally. Some clinics use injectible guns to make the process easier but the tedious, manual hand method has been proven to be more effective by peer reviews and papers. 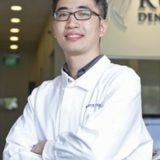 For the past year, Rejuran Healer has been the talk of the town at beauty centres in Singapore. Designed to regenerate damaged skin, it comes with the promise of giving you youthful looks. The treatment contains biological molecules which help correct the signs of ageing. This post will get into the powerful all-round skin booster. We will talk about everything from how it is applied to what risks it has, and what not. Read on. In short, it is an anti-aging filler that is administered into the skin through an injection. Known by the name 婴 儿 针 (baby skin injections), it originates from South Korea. What sets it apart from other aesthetic treatments is that the latter target specific problems like acne scars and wrinkles. On the other hand, Rejuran has wound healing and anti-inflammatory properties that resurrect the skin. Now, you will often hear people call it PN or PDRN. What do these terms stand for? The former is an abbreviation from polynucleotides (i.e. multiple nucleotides). If you remember from your biology classes in school, those are the main molecules that DNA is made of. So, what is PDRN then? Basically, this is a subtype of PN. Its full name is Polydeoxyribonucleotides. Hence, the treatment naturally contains both forms of molecules. What we are trying to say is that the healer is made of DNA. Whose DNA, you would ask? No, they don’t extract it from human beings. They take it from fish, salmon specifically. It has been proven that salmon DNA is quite like human DNA. Therefore, it does not cause serious side effects and is considered very safe for human beings. What is more, a study conducted in 2010 found that rubbing salmon DNA into the skin helped to improve its hydration, texture, and elasticity. That led researchers to the idea that salmon can be used to reduce the signs of ageing. And this marked the beginning of a new phase for facial treatments. It is important to note that the DNA they extract from fish goes through a thorough purification process, which eliminates the risk of activating an immune response. For example, one of the substances they take out is protein. How is Rejuran Healer treatment done? Does Rejuran Healer cause any side effects? Well, apart from the ones we just mentioned above, the treatment might also cause moderate bruising. We can assure you there is nothing to worry about. It is a matter of a few hours before it goes away. Shining light to the incision areas can significantly reduce that time, which means you can go back to work immediately. If the procedure was effective, you will know it instantly. You’ll notice small even bumps across the treatment site. Don’t worry. They will fade within a day or two. Note that it is not advisable to use makeup during that period. 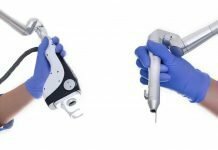 Which is Better: Manual Application or Injector Gun Technique? The best way to apply Rejuran is by hand. A microneedle is used to puncture the skin and infuse the substance underneath it. Contrary to what some people think, using an injector gun isn’t as precise as the hand technique and is likely to cause bruising. Because of these benefits, the procedure can be used to treat acne scars, fine lines, enlarged pores, wrinkles, moderate pigmentation, and dark eye circles. Adults with patchy skin and fine lines can obtain good results from this treatment. People with scars might also benefit from it. If you want to deal with your dull skin, you should definitely avail of the procedure. As a whole, if you are looking to repair your skin in a non-surgical way, this is the way to go. How Long Does it Take for the Effects to Show? Unlike Botox where you can spot the results immediately, with Rejuran you need to wait a few weeks before the outcome is visible. As you know, it takes time for the skin cells to repair, it doesn’t happen overnight. Hence, you can expect to notice an improvement in your complexion a month after the treatment. 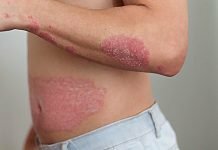 Will the Skin Regenerate After a Single Session? While your complexion may change after a single procedure, you will need to schedule three to four sessions overall. However, they should be spaced evenly. It is recommended to go back to your doctor’s office once every four weeks. Then, when you are finally done with the procedure, it may take years before the results are undone. Which means that you don’t have to worry about it for months. Compared to other skin rejuvenating treatments that address specific health conditions, Rejuran can help with multiple issues at a time because it is focused on curing damaged tissue. It activates the healing mechanisms of the body and promotes collagen production. The skin takes it from there. With other facial procedures, you often need to combine two or more treatments to get the desired results. For example, if you want to deal with wrinkles, you can use dermal fillers and Botox collectively. That may cost over $2,000 depending on the number of sessions you’re getting. To do away with pigmentation, you can opt for Fotona lasers coupled with Picosecond. Not only is that expensive, but also it has long downtime. And now imagine you want to treat dry skin, wrinkles, pigmentation, and other issues at the same time. This can cost the whopping $10,000 and more! That said, the Rejuran healer price is a fraction of what you would pay for a combination of facial treatments. It has insignificant downtime and it can achieve astonishing results. Of course, the outcome will vary per individual, so do try to have realistic expectations after all. Check out some Rejuran healer reviews. Get to learn what other people think about this treatment and whether they were satisfied with it. Ask your physician about before-and-after pictures to see if the results are significant. If you are not convinced it is worth the investment, you can get cold feet. Rejuran can definitely lead to glowing and improved skin, but you should consult a specialist to find out whether it can work for you. 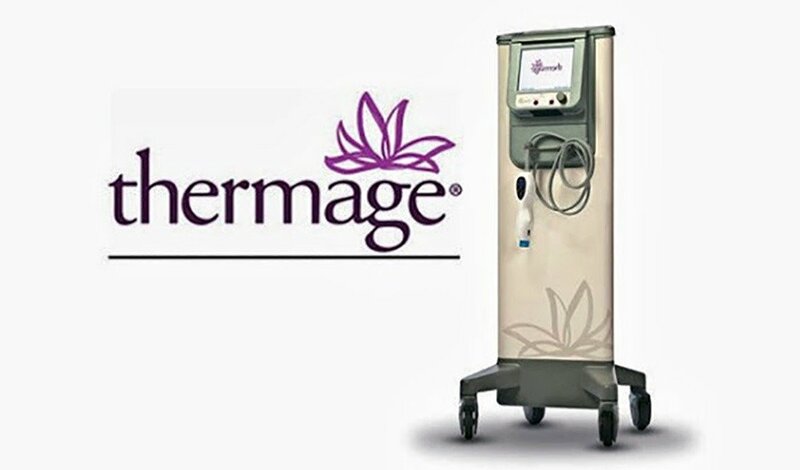 The army of cosmetic procedures has recently welcomed a new soldier – Thermage. It is the latest face treatment that helps battle loose skin and wrinkles in a scalpel-free fashion. Below, we will explore what it entails and how effective it is. Read on. It is a minimally invasive treatment designed to remove sagging and tighten the skin, no cuts or stitches. Before we get into the basics of it, let’s talk dermatology. In short, the skin has three layers. The second one, the dermis, is mostly made up of protein we generally refer to as collagen. It not only supports the tissue but also gives us that glowing, supple complexion. As we age, the production of collagen naturally decreases, leaving us with lines and sags that make us look tired. 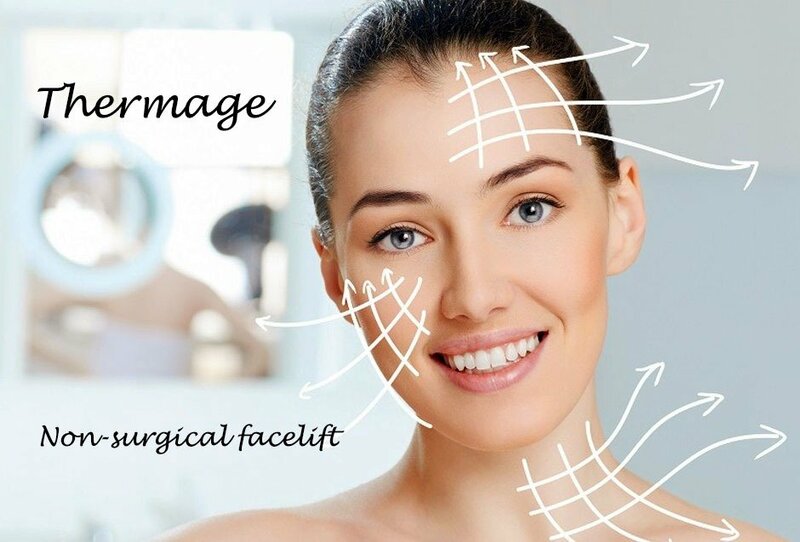 Thermage is designed to renew collagen reconstruction. It employs a handheld device which sends radiofrequency energy through the skin and into the dermis. From there, it works to rebuild the body’s most abundant protein. The main areas to treat include the jawline, eyelids, forehead, stomach, knees, and arms. No follow-up is due, but repeat sessions are needed to sustain the results. During the procedure, you will face some discomfort. But whether that can become unbearable or not depends largely on your tolerance for pain. The other significant factor is how intense the treatment is – some are more invasive than others. In all these cases, a numbing cream can be used to keep the pain to a minimum. Now, a Thermage CPT is the latest generation of radiofrequency devices. They come with an additional gadget that delivers cooling bursts to soothe the skin. This makes the procedure less painful (CPT stands for Comfort Pulse technology). 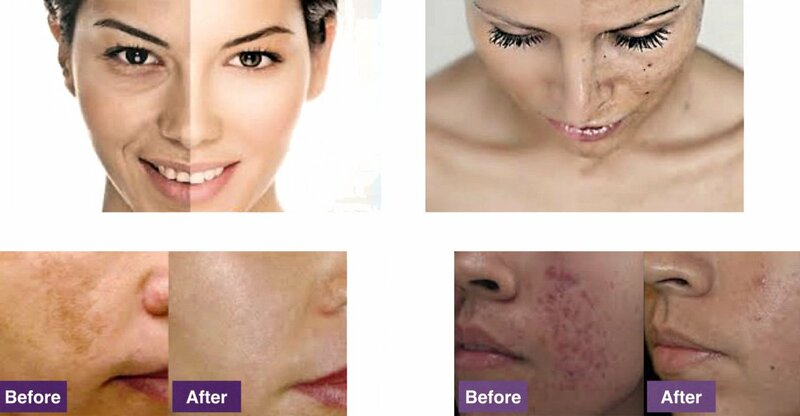 We would be lying if we said using Thermage cannot cause any negative reactions. In spite of it being a relatively safe procedure, it can still make your face red or leave a burning sensation for a few days. General soreness and swelling are expected too but should dissipate quickly. The less common side effects include scarring and blistering. There is no downtime, so you don’t have to take days off. Then again, this doesn’t convey that your skin will heal right away. It will take a few months before the body’s natural collagen replaces the old tissue. By that time, you will have started to see improvement in your complexion. The full effects will show through at least half a year afterwards. And while you wait for the miracle to happen, here is something to remember. It is essential to restrain from taking anti-inflammatories for the time being. Medicine like aspirin and ibuprofen can affect the outcome. The procedure uses controlled inflammation to trigger the production of collagen in your skin. So, if you take pills that hamper the process, improvement may not ensue. You will be an ideal candidate if your skin laxity is minimal and you wish to obtain a more youthful complexion. It works both for men and women. As a whole, non-smokers are a better fit than those who regularly consume cigarettes. Age can be a factor too. The older you get, the less receptive to collagen you become. So, the best time to undergo Thermage is between the ages of 30 and 65.
Who Should Steer Clear of the Treatment? Believe it or not, not everybody can qualify. We are talking about radiofrequency here. That automatically makes a whole bunch of people unsuitable for the procedure, mostly the ones with pacemakers. But if you happen to have other electrical implantable devices, you too should think twice before doing a Thermage session. This procedure is valued at around $2,000, although the price can fall in the range of $1,000-$5,000. 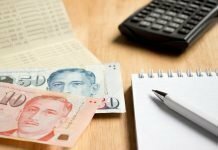 In Singapore, you are likely to pay over SGD$4,000 for it. 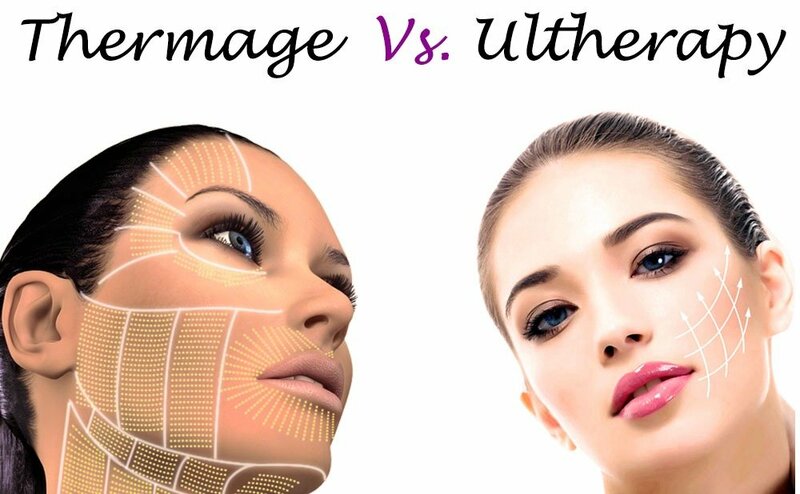 What is the Difference Between Thermage and Ulthera? While both treatments are used to improve skin texture and appearance, one employs radiofrequency energy and the other uses ultrasound. So, the difference is in the technology. People all around the world want to look good, this is why aesthetic clinics in Singapore are thriving. There is a range of cosmetic procedures that one can have to rejuvenate their skin and improve their overall appearance. From reducing wrinkles to straightening the nose, these treatments offer temporary or permanent solutions for the issue at hand. We will now take a look at the procedures you can do in Singapore. Before we begin, there is a differentiation between these two terms and we would like to make it clear right away. A non-invasive procedure refers to one that it is executed outside of the body without breaking the skin. Typically, it lasts 15-30 minutes and it can be carried out during your lunch break. For this reason, they are often referred to as “lunch-time procedures”. There is no staying in a hospital overnight, so the patients can instantly go back to their daily activities. Dermabrasion, laser therapies, and chemical peels are perfect examples here. Now, a minimally invasive is also a non-surgical operation, only it involves some form of skin breaking. Recovery is quick and little to no downtime is necessary. An example of such a procedure is using fillers or Botox. 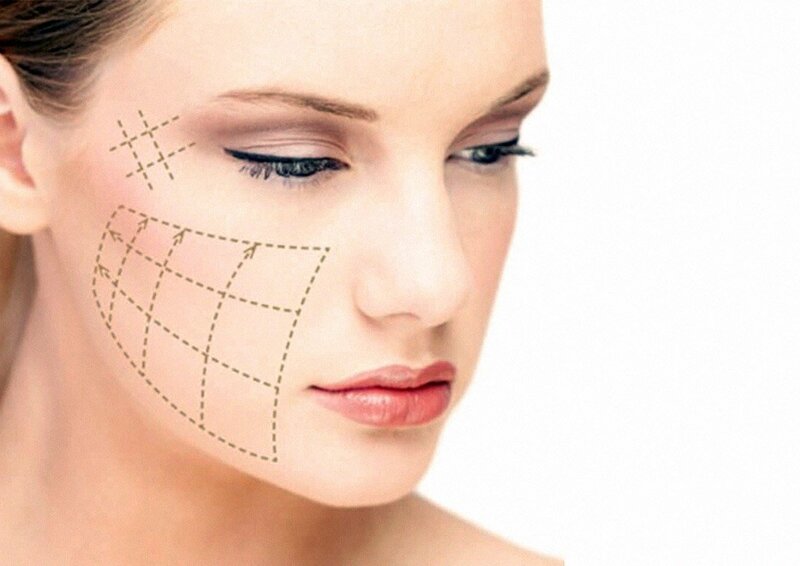 A thread lift is generally used to contour the face, lift and firm the skin. It requires a local anaesthetic, which can be a numbing cream or something similar. Only a qualified medical practitioner or a surgeon can perform thread lifts. It prompts the skin to build new collagen. For those of you who don’t know, there is a protein responsible for making our skins so radiant and youthful. That’s collagen. As we age, its production decreases, resulting in sags and lines. There are different types of thread lifts. Some of them are suited to people who want fresher skin and others are targeted at removing folds and lines. Overall, the treatment focuses on the face. However, it is not uncommon for thread lifts to be used on the cleavage, neck, and other body parts. The results will depend on the person. Generally speaking, the lifts will begin to wear off in 6 to 30 months. Group ages between 30 and 60 are the most suitable candidates for thread lifts. Of those, patients whose skin is just starting to show signs of ageing will benefit the most from the treatment. If you experience excessive sagging, you had better stick with a traditional facelift. The procedure bears no risk if executed by a certified dermatologist. As for side effects, you can expect minor bruising and swelling afterwards. Although no pain is associated with thread lifts, some people report aching when touching the affected area. But it subsides fast. Recovery time is no more than 48 hours. In Singapore, a thread lift session may cost from $1,500 to $3,000, based on the clinic. 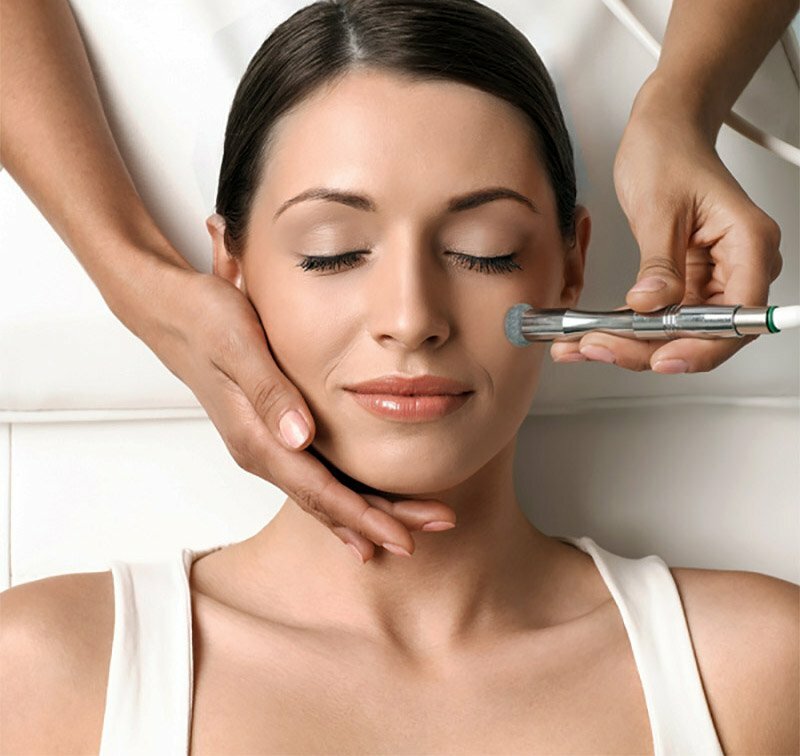 Microdermabrasion is a non-incision procedure for improving the skin texture and tone. It employs a hand-held device with tiny crystals on it. They act as exfoliators, removing dead and dry skin cells. 6-12 months. But it really depends on the patient. Microdermabrasion works best for people with acne, stretch marks, blackheads, enlarged pores, and acne scars. You should not expect it to have the same results as chemical peels (which are stronger). For the best results, you might want to repeat the procedure 3-5 times, with 1-2 month intervals in between. Patients commonly report mild redness, swelling, and tenderness, which normally go away after a few hours. Keep in mind that unless the treatment is performed by a professional, you risk getting perforated skin, contracting infections or experiencing other complications. The price tag of microdermabrasion starts at $70 and can go up to $150 per session. Another procedure you can book at aesthetic clinics in Singapore is chemical peels. It works best for treating some types of acne, removing small wrinkles and fine lines. In addition, it reduces age spots and gets rid of freckles. A professional will clean your skin prior to giving you the treatment. Then they will apply different chemical solutions to your face – as in salicylic acid, glycolic acid, carbolic acid, or lactic acid. You are likely to experience stinging or burning sensations. It will last no longer than ten minutes. You can apply a cool compress on it to help with the problem. It is strictly dependent on the individual, but your face will look rejuvenated for a few months afterwards. To maintain the results, you are recommended to book a chemical peel session twice or thrice a year. People who are light-haired and fair-skinned are perfect for chemical peels. If you have bulges, sags or severe wrinkles, chances are you will not respond well to this treatment. Some patients may get small scarring. A permanent or temporary colour change might occur in people with a tendency toward brownish discoloration. Women who are on the pill are also at risk of getting this unpleasant side effect. A session executed in Singapore will be around $150 and up to $350. This is a treatment that serves to fill creases and lines with different substances. It is very much unlike Botox whose purpose is to relax the muscles in certain areas of the face. In the case of nose fillers, the goal is to straighten the bridge and improve the profile. It can also work with other parts of the face – to lift temples, jawlines and cheeks, or to fill thin lips out. What is more, it is even used to plump hands. The effects are observed immediately after the treatment, lasting from half a year to nine months. This means you will want to book a session every once in a while to maintain the results. Some of the fillers may last up to two years. Injectable fillers are ideal for people under the age of 50. Older individuals should not take advantage of the procedure because it won’t produce the desired effect. When it comes to synthetic fillers, some people may trigger an allergic reaction. And sometimes skin colour change may be noticeable for months after the treatment. The longer a filler is designed to last, the more likely it is to produce side effects. As for naturally derived fillers (collagen, hyaluronic acid), risks are almost non-existent. Overall, you may have bruising, swelling, and redness post-treatment. It depends on the treatment. The cost typically revolves around $500 and $850 per syringe. Normally, the specialist will use one to two syringes per session. This is a cosmetic procedure known as laser resurfacing. A fractional CO2 laser is one of the many types of lasers which can be employed. The treatment is used to rejuvenate skin cells and achieve younger, smoother skin. The procedure is suitable for people who have acne scars, uneven pigmentation, wrinkles and lines. The perfect candidate does not have any underlying health conditions and is free of prescription medication. Note that if you have minor skin imperfections, you would not be a good fit. 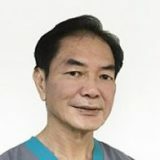 Even though fractional CO2 lasers are not invasive, a procedure like that is considered a surgical one by many doctors. This is because it is a little bit tougher on the patients. For this reason, it is recommended to undergo the treatment only when no other treatment has proven to work. For the most part, the procedure is safe and bears no risks but only if performed by a professional. Yet, there could be some discomfort following a laser resurfacing session. For example, abnormal healing or infection might occur. Other common side effects include swelling and redness. Each session is priced from $500 to $1000. A maximum of two sessions might be required to get you the results you want. But that would strongly depend on the individual’s health condition. This treatment uses intense pulses of light to treat common conditions such as sun-damaged skin, fine lines, and uneven skin tone. It is also referred to as Photofacial in Singapore. It comes in the form of handheld devices which emit short bursts of light over the application area. In most cases, the effects will be visible between six months and one year. There are things that can affect how long the results will last. For this reason, it is important to follow your specialist’s advice regarding the post-treatment period. This will ensure that you enjoy smooth skin longer. People who have age spots, freckles, blood vessels on the chest, neck, and face. Also, people with spider angiomas. If you are looking to move stubborn skin concerns out of the way, slow down the early signs of ageing or just revitalise the skin, this one is for you. There may be swelling and redness afterwards. More often than not, they disappear shortly after the procedure has been performed. The price of a session is between $300 and $500. What Perks Do These Procedures Offer? For one, people like how easy on the wallet they are. You can get a face work for next to nothing these days. By contrast, surgical jobs have always been costly. Thirdly, let’s not forget the fear of surgery. The majority of people are not okay with the idea of going under the knife just to get a better-looking jowl. Being so affordable and so accessible, non-incision operations are gaining popularity by the minute. 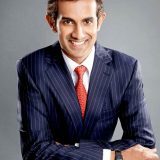 And aesthetic clinics in Singapore are ready to offer an abundance of options for the bold and the vain. And finally, most of these procedures offer quick results. Who wouldn’t like that? Healthcare centres provide a range of non-surgical treatments that boost one’s overall appearance. There are many factors that determine whether you will be suitable for a given procedure or not. Only a certified specialist can give you a quality rundown on what you ought to expect from each treatment. Not only that, but they will evaluate your current health condition based on your medical history and the state of your skin. With that knowledge at hand, they can offer the best service. These are all important aspects you should consider. If something goes wrong, the effects might be irreversible. 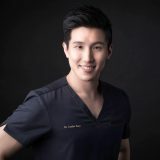 This is why it is essential to go for the best aesthetic clinics in Singapore. The doctors there have the know-how, backed up by years of experience. You want to be the one whose friends keep on asking, “Wow, you look better than ever! How do you do that?” rather than, “Is everything okay? You have something on your face.” To achieve that, you have got to stick with the professionals. Thought having acne is tough? Wait until it begins to scar. It’s as if having pimples all over the face is not enough, you are doomed to deal with acne scars afterwards. The great thing about advanced technology is it offers heaps of treatments for mild to deep scarring. They can put an end to the embarrassing blemishes. For that to happen, you need to schedule an appointment with a certified dermatologist and let their expertise guide you through. In the meantime, check out the most used therapies to battle scars so that you are prepared. First and foremost, let us stress the fact there is a distinction between acne scars and marks. The former are indentations in the skin that make it uneven and not very appealing to look at. In comparison, the latter is a post-inflammatory condition which occurs during the healing process. In most cases, it goes away after several months providing that no acne lesions happen. Scars, on the other hand, do not fade on their own. Usually, people with lighter skin get purple or red marks, and those with darker skin have brown marks. Unfortunately, if they last more than 12 months, you can bet they have become permanent. It is time to debunk a widely held belief about acne scars. You have probably been told repeatedly that scars emerge because you pop your pimples. You might have even heard yourself say that a number of times. But here is the thing, some lesions are susceptible to scarring anyway. So even if you leave them alone, there is still a great probability that scars happen. It’s not fair, is it? Needless to say, that doesn’t make it okay to pick at your blemishes. But now that you know you’re not at fault for the scarring, doesn’t it make you feel better? Hands down, there are therapies galore, both minimally invasive and surgical, that tend to remove scarring. One thing you should know is that just because one treatment is touted to be the best, that doesn’t make it the best for you. See, everybody’s acne problems are different. It depends on the type of scarring, your lifestyle, and the severity of the situation. Then again, even if your doctor says that this or that will work wonders for you, you still have to factor in your budget. And that’s not to be overlooked. So, now let’s talk briefly about the treatments that promise complete acne scar removal. That way, if your doctor suggests any of them, you will be vaguely familiar with it. Laser treatment is one of the top methods for removing stubborn acne scars non-surgically. The top layer of the skin receives small bursts of micro-fine laser light damaging the tissue. Then, the natural healing process of the body flushes away the tissue and promotes collagen production. No matter which type of laser treatment you pick to remove acne scars, just stay out of the sun at all times. That is, before and after each session. Additionally, you want to always apply sunscreen to prevent undoing the results of the therapy. And yes, you need to wear SPF even at home. Each laser has different energy settings and wavelengths. Going for the wrong setting might cause irreversible damage to your skin. On that note, choose your doctor wisely. It is easy to come across an unregistered clinic without certified dermatologists. If they don’t know what they are doing, you are in for a poorly done laser job. Unless you want to end up with a disfigured face, don’t go down that road. 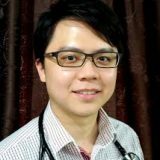 There are a few good health centres in Singapore that treat acne scars in a safe and effective manner. Lasers carry a big price tag. It might not be the most budget-friendly solution for you. For one, burning might be caused due to poor technique or high-intensity laser treatment. In turn, this will bring about dilated blood vessels, swelling, crusting, cyst, and oozing. Blood spotting might occur, too. If your skin is sensitive, an uneven skin tone might develop in the treated areas. You may develop eczema, saggy skin, cyst or acne if the treatment is inconsistent. This therapy involves a small device with tiny needles that does small punctures to the skin. It’s about the size of a pen and it’s not as spine-chilling as it sounds. The microscopic needles scratch the surface of your skin, forcing it to rebuild elastin and collagen. During the procedure, you may feel tickling or poking, but nothing unbearable, so to say. Microneedling might be the best acne scar removal alternative if you are in your mid 20s or 30s. It works well for intense scarring too. The deeper the scar is, the deeper the needles have to go. But no worries. You will feel no pain during the treatment because they will numb the troubled area with lidocaine or a cream. There are at-home kits suited to people who don’t want to pay more for a non-surgical procedure. However, these may not be as efficient as the tools that a health centre has. Plus, an experienced doctor will know what they are doing and follow all safety measures. Besides, you can always consult with them if any problems arise. You can have a microneedling procedure for $$$. The price will vary from clinic to clinic. Strictly speaking, you will probably need more than one session. What is it? This is a revolutionary microneedling device that employs radiofrequency. Being a non-surgical procedure, it offers mild to no discomfort and plenty of benefits. What is more, it involves minimal risk and is efficient with regard to acne scar removal. The AGNES device targets the sebaceous glands – the main culprits for pimples. By eliminating the problematic tissue, they not only remove the symptoms, but also the causes for acne. Here is how it works. The doctor you task with the issue will apply topical anaesthetic cream on your face. Its purpose is to numb the area so you experience no pain during the treatment. Second, they will clean your skin, getting rid of the excess sebum. Third, they will prepare the micro-needle and then insert it into the problematic sebaceous glands. The radiofrequency current will kill the glands. Mind you that you will have to visit the specialist again on the next day for another session. The goal here will be to remove any impurities and debris left after the treatment. This time round they will use a surface probe to apply bipolar radiofrequency current. 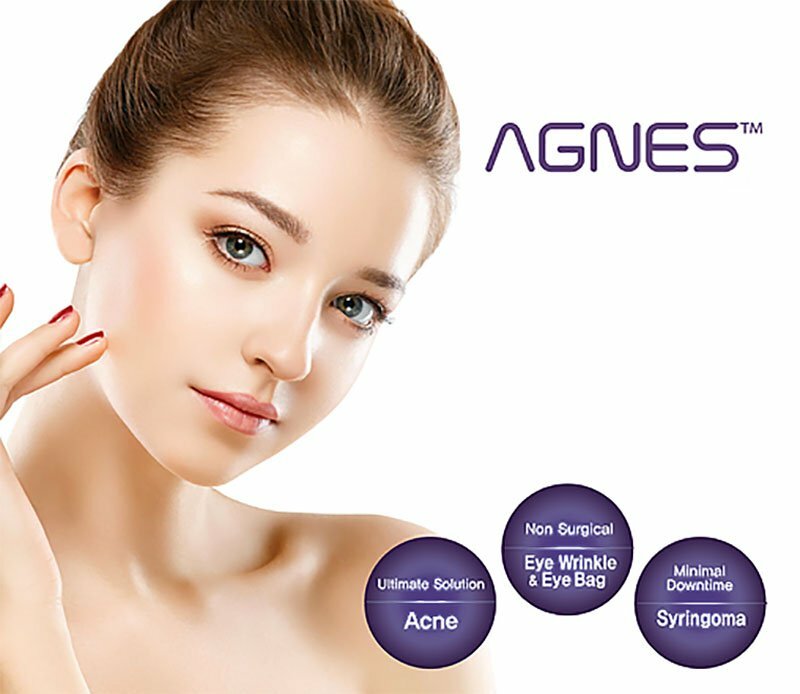 How many sessions with the AGNES device should you attend to get rid of acne scars? Say, two or three depending on your condition. Clearly, severe scarring takes longer to heal. 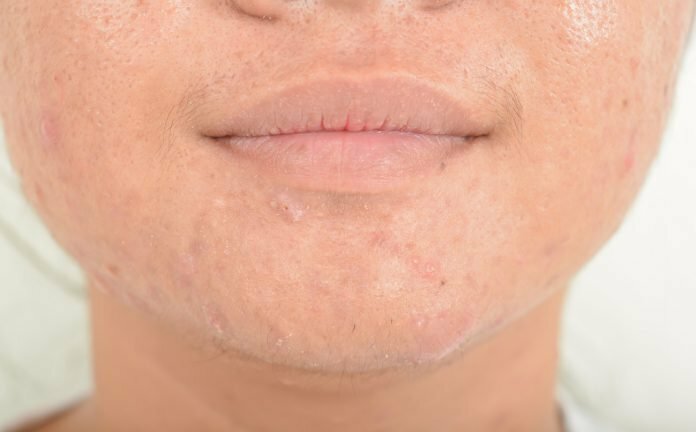 If you are not convinced this procedure is efficient, here is a review that might help: https://vanessamissylove.com/acne-solution-at-cambridge/. If you are lucky enough to experience marks instead of scars, there are a few at-home products that could help to even out your skin tone. Over-the-counter creams with salicylic or glycolic acid come with exfoliating properties and brighten the skin. Do not take it to extremes, though. Keep in mind that some brightening creams contain hydroquinone. Overuse of said ingredient can result in lasting grey pigmentation on your face. Now, if you need a product that can work for both bright and dark skin tones, opt for a retinoid. It will help the healing process. As for prescription treatments, this is something you have to consult a dermatologist about. They may put you on Retin-A-Micro, Tazorac, Differin, or any of the Elure products. It is essential to remember there exist different types of scars and different kinds of people. Some of you may not need surgery at all. In fact, one of the above treatments will probably work like a charm for you. As long as you find the right therapy, complete acne scar removal is absolutely possible. Or, there is also the possibility that you are left with smaller but less visible scars. All things considered, you will see improvement in your overall complexion. The key job here is to find a specialist that has the know-how and really cares for you. More and more people these days treat themselves to special facial procedures that lift the skin, remove wrinkles and clear the complexion. It’s a tendency that has taken the world by storm, and Singaporeans are no strangers to the perks it brings. 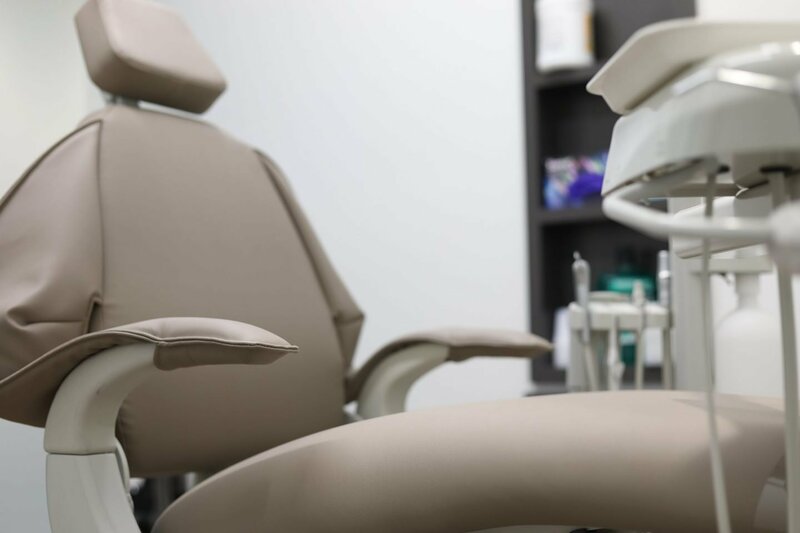 Beauty salons and clinics across the city-state offer a diversity of procedures, touted to provide benefit after benefit. Here we will discuss the most popular facial treatments that work to breathe new life into your skin. IPL is a facial treatment that helps treat uneven skin tone, pigmentation, freckles, and spots in different parts of the face. It uses small flashes of light to reach below the surface of the skin. Aside from light, heat is also administered to the face. It serves to decompose the brown pigment, which is then flushed away by the lymphatic system. In some cases, it may appear on the surface of the face in the form of scabs. No worries. They will flake off naturally after a week or two. Is there a need for anaesthesia? Anaesthesia might be used, depending on the situation. Most of the time, it is a numbing cream they put on your face. 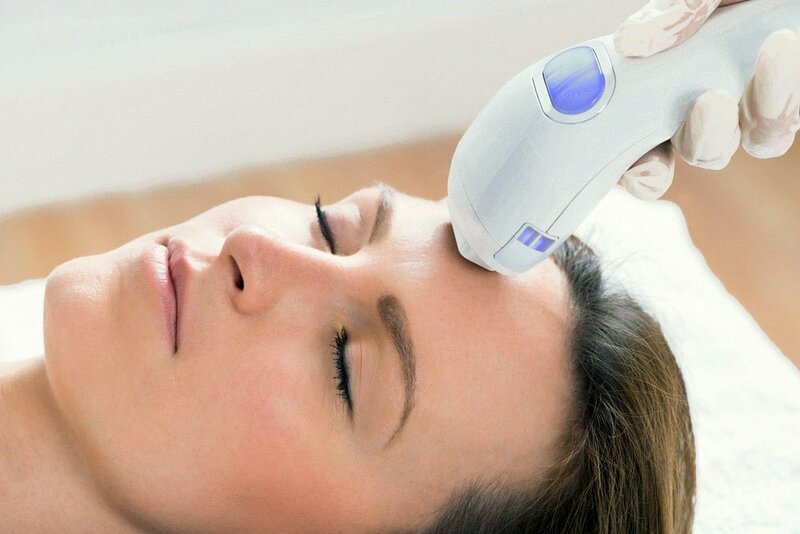 What are the risks of using IPL? The greatest risk associated with this procedure is burning; changes to the natural skin colour might occur as well. However, this shall not be a concern at all if you stick with a certified professional who can evaluate your skin properly and then execute the treatment the right way. It is worth noting that after every session, your face will appear splotchy, swollen, and red. Don’t panic, it will all go down very quickly. Who is IPL not suitable for? People with a natural or fake tan are not a good fit because the machine doesn’t tell pigmentation and tanning apart. Hence, it won’t be able to target the problematic areas. If you have multiple skin conditions, it might not be a good idea to undergo the treatment. Your doctor will tell you more about that. Who is IPL suitable for then? People with uneven tone, minor wrinkling or early pigmentation are the perfect candidates. This procedure is great for the time-starved too. If you want to improve your skin complexion but can’t take a few days off work, you can try this one. What shall I expect from an IPL session? Once you find your way to the treatment room, you will be asked to lie down and wear goggles. They will put cold gel on your face and begin the procedure. Will it hurt? Well, it depends on your pain tolerance, but you are expected to feel discomfort, at the very least. Fortunately, the session is over so quickly that you won’t have to get used to the pain. The doctor will need about 20 minutes to work on your entire face. You are allowed to apply makeup straight after the treatment, which is great. If you don’t want people to ask you what happened to your face, cover it with foundation on your way out of the clinic. About 48 hours following the treatment, the dark spots will begin to come off on their own, resulting in clear and cleaner skin. What are facial peels? Those are chemical solutions used to remove imperfections and rejuvenate the complexion. It eliminates the top layer of the skin so that the latter grows back much younger looking and smoother. The most commonly applied chemicals are salicylic acid and glycolic acid. Light – This is the least intense facial peel. It is used to address uneven skin tone, fine wrinkles, dryness, and acne, as it only works on the upper layer of your skin. Given its intensity, you can repeat it every couple of weeks if necessary. Medium – As its name implies, this one reaches the middle layer of the skin. It can help treat acne scars and wrinkles, but you should opt for it less frequently than the light peel. The bare minimum is every three months. Deep – This one reaches a little bit deeper into the dermis (the skin’s mid layer), addressing bigger scars and deeper wrinkles. You can do this procedure only once. It goes without saying every type uses a different solution, from mild to stronger. Whether you go with one or the other depends on the results you are after. Feel free to discuss that with your specialist. It depends. Light chemical peels do not necessitate anaesthesia, while deep peels use a numbing cream to prevent pain and discomfort in the treatment area. Are there risks to this procedure? Various side effects might arise after a chemical peel, including infections, scarring, and redness. But if everything goes right, you will not experience any of these. Keep in mind that your skin will feel tight and irritated after the session, but that’s okay. The physician might try to relieve the area using a protective ointment. Who should stay away from facial peels? This type of facial is not suitable for everyone. If you have a dark complexion, abnormal skin pigmentation, or a history of severe outbreaks, your doctor will advise against using peels. Not to mention, if you have been taking Claravis, Amnesteem, or other acne medication in the last six months, you are not eligible for the procedure either. What shall I expect after a session? 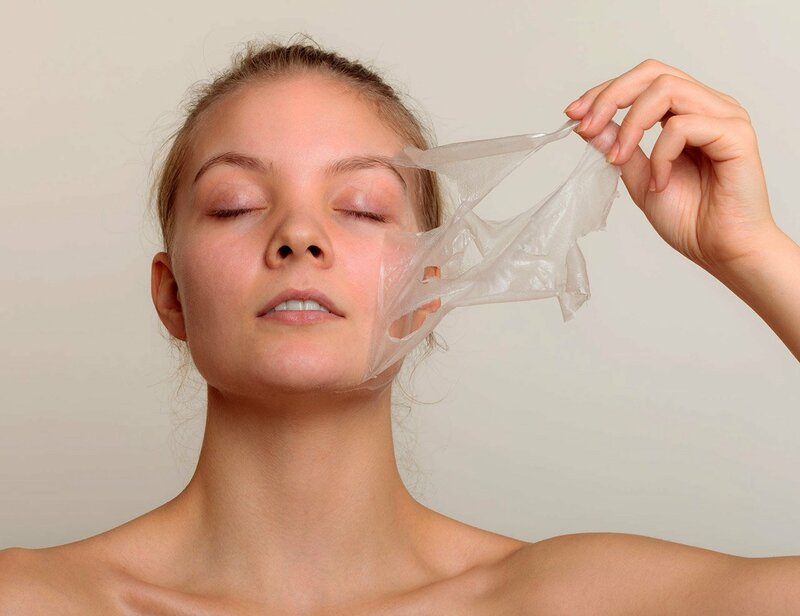 The first few days afterwards your skin will be shedding, but you should resist the temptation to peel it purposely. The recovery process will last about a week. You can still go for your makeup and skincare routines in the meantime. The doctor will give you a topical cream or balm to apply post treatment. Laser treatment, also known as laser resurfacing, is a procedure that works to remove layers from the skin and thus boost the complexion. It is administered through special devices emitting high-intensity light and energy. This can help treat blemishes, scars, and wrinkles. It can also seal blood vessels, heal spider veins, get rid of unwanted tattoos or hair, and improve skin texture. 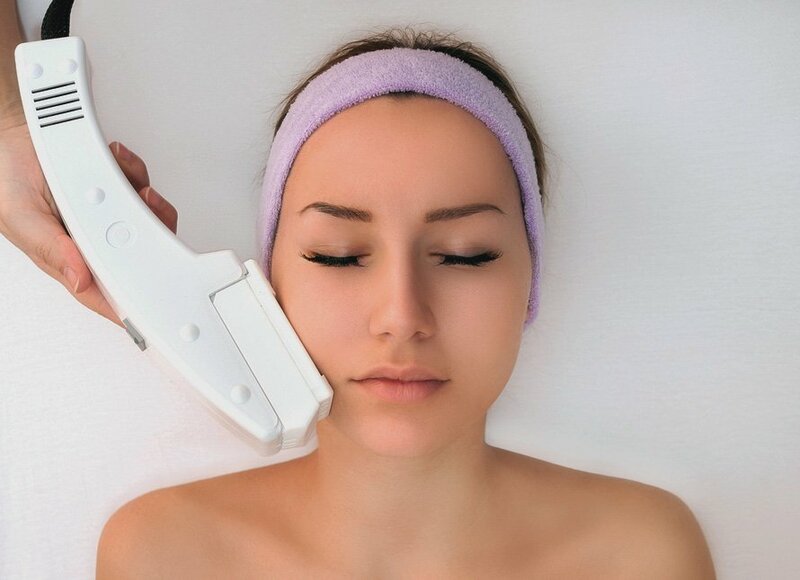 Ablative – It removes the epidermis and dermis and is considered a wounding laser. It comes with a bigger downtime. 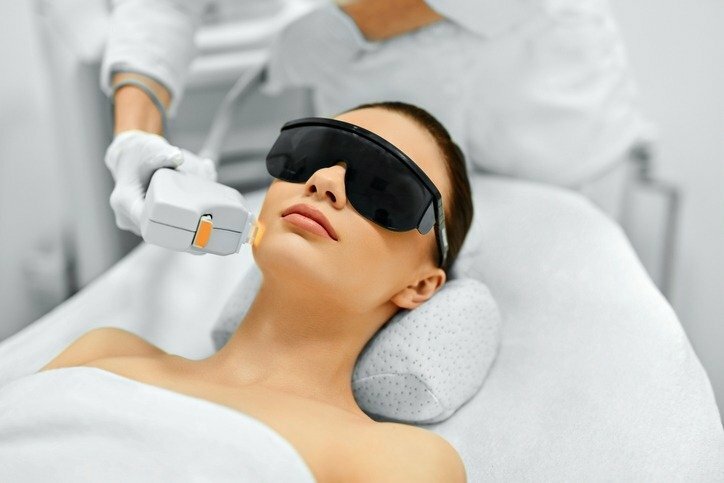 Types of ablative lasers include the erbium laser and the carbon dioxide laser. Non-ablative – It stimulates the growth of collagen and is considered a non-wounding laser. This method is less invasive, but also less efficient. It offers a small recovery period. Intense Pulsed Light is a non-ablative procedure. Do I need a sedative? On one hand, with some types of laser treatment, an injected anaesthetic will be the best option. On the other, there are procedures that can be executed with a topically applied anaesthetic like a numbing cream. It is used after every round with the laser. This guarantees that regardless of how deep into the skin the device goes, the numbness will persist. The treated skin may be red, swollen, and itchy after a session of laser resurfacing. This is perfectly normal. Yet, there may be complications. For example, scarring, infection, and changes in the skin colour are all possible outcomes. The procedure is not appropriate for people who have very dark skin, an autoimmune disease, active acne, or are prone to scarring. 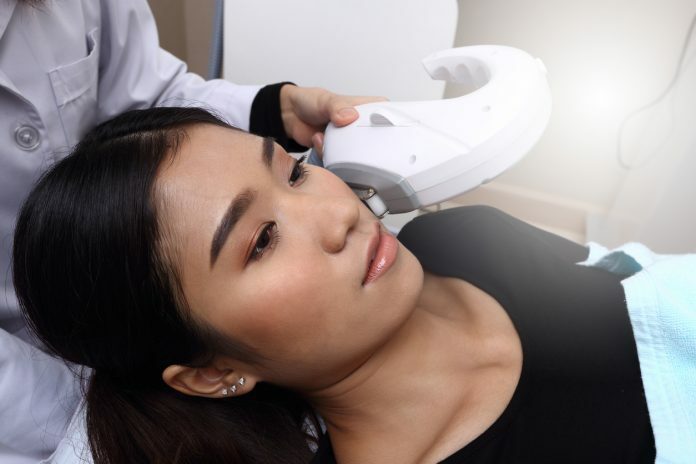 Who is laser treatment suitable for? Guys and gals with lighter skin are excellent candidates for this. Generally speaking, if you are looking to boost moderate imperfections like discolouration, mild wrinkles, and acne scars, this is the right way to go. What shall I expect during the session? You will be seated and given protective goggles to cover your eyes. The doctor will apply a numbing cream an hour beforehand. Then they will follow up with a cooling gel. The procedure will last between 15 and 30 minutes. The laser will damage the upper layer of the skin and initiate new collagen growth. Your doctor may suggest scheduling several sessions over the course of months. Yet, that will depend on the outcome you are willing to get, your budget, and your condition. As the name suggests, dermal fillers are materials administered under the surface of the skin to make it firm and wrinkle-free. They can be synthetic or natural, permanent or temporary. That being said, the results vary based on the filler type, but on average they can last from half a year to five years. Most fillers are composed of hyaluronic acid (HA), which is produced naturally by the body and is therefore risk-free. What fillers are available out there? First off, we’ve got Belotero and Restylane. Typically, they are stiffer because they come with bigger concentration of HA. Then, there is also Juvederm, which is appropriate for smile lines and crow’s feet (those nasty wrinkles at the side of the eyes). All these last between six months and a year – that’s about the time necessary for the body to absorb the hyaluronic acid. If placed in the lip area, it tends to go away faster – you know, we use our mouths constantly talking, eating, and laughing. And if the area is more static, you can expect the filler to have longer shelf life. To illustrate this with an example, there is not much motion in the lower eyelids, so an HA injection in that part of the face is likely to hold up for three years or more. This is one of the most commonly administered fillers that is currently available on the market. What is interesting about it is that it’s purely synthetic, yet biocompatible. Made of poly-L-lactic acid, it is safe for the body. Another thing you should know is that Sculptra works gradually to improve the creation of collagen within the skin, which means that multiple treatments are necessary until you can observe the desired outcome. On the plus side, once obtained, the results persist up to two years longer than hyaluronic acid fillers. It’s worth giving it a thought. Which areas can dermal fillers enhance? The most common areas are the cheekbones, chin, nose, and forehead. Smokers are not recommended to use injectable fillers for two reasons. One is that the bad habit undermines the body’s healing process. The other is that all the sucking motions smoking involves will reduce the life of the material. We should not forget to mention that if you happen to have extreme allergies, injecting a dermal filler might trigger an unwanted reaction. And lastly, people who don’t have realistic expectations aren’t a good fit either. Who is suitable for a filler? The best candidates are people who have sunken cheeks, under eye circles, and moderate or severe wrinkles and folds. The procedure is a good option if you want to improve your look without surgery. In the hands of a skilled doctor, the procedure carries no risk. Hyaluronic acid fillers do not pose a health threat to your body, so you can rest assured everything will go tip-top. Immediately afterwards, mild bruising and swelling might occur. It won’t be so bad as to force you to take time away from work or your normal activities. No. The procedure is painless. You will leave your doctor’s office with hydrated skin and refined skin texture. The procedure will diminish pigmentation, reduce fine lines, and improve elasticity. The procedure uses no knives or needles, so there is hardly any risk involved. In addition, there is no downtime and no discomfort. You can put makeup on right after you step out of your doctor’s office. HydraFacial works for all skin types and all ages, but has shown incredible results for acne prone skin. People looking for mild improvements in their skin texture will benefit from it the most. From teenagers to adults, everyone can treat themselves to this procedure. If you are looking for a non-invasive, pain-free facial treatment that will rid you of dead and dry skin, look no further than microdermabrasion. In contrast to peels, it does not use any chemicals. Instead, it employs microcrystals to eliminate the skin’s outer layer. By destroying the skin cells, it promotes the production of elastin and collagen. Note that this is different from dermabrasion, which tackles problems like scars and extreme sun damage. There is no need to apply any sedative, but if you have low pain tolerance, the specialist might apply a numbing cream to soothe discomfort. The procedure is painless, but it may cause tingling. What are the risks of using this method? Dry feeling and redness are the most common side effects that occur after microdermabrasion. There is nothing to worry about, however, because this is temporary. The treatment is not effective for reducing wrinkles, stretch marks, deep acne scars or keloids. Who is microdermabrasion suitable for then? The individuals who will benefit from this treatment the most are those with clogged pores and fine lines. Overall, it can work on all skin colours and types. 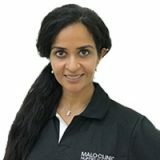 What shall I expect from a microdermabrasion session? Your skin will look rejuvenated and younger. However, you may need to repeat the procedure a few times for better results. Also, your doctor will recommend using high-quality moisturisers and sunscreens. It is advisable to avoid sun exposure for a few days afterwards. 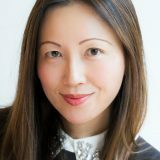 For non-incisional double eyelid surgery, plastic surgeons in Singapore typically charge between $2,500 to $3,500. 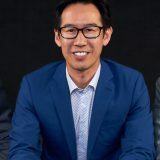 The incisional method of double eyelid procedure requires slightly more work from the surgeon and is priced slightly higher at $3,500 to $4,500. These costs cover the surgeon's fee only. Costs for an anesthetician (optional) can be an additional $2,000-$3,000. Post-surgery medicine usually costs less than $250. Double eyelid surgery is one of the most popular cosmetic surgical procedures in Asia, and in 2015 alone there were more than 1.3 million double eyelid surgeries performed. 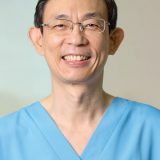 Also known as East Asian Blepharoplasty, double eyelid surgery first gained popularity in South Korea and Japan and many of the techniques that local surgeons in Singapore use are inspired by the pioneering plastic surgeons in those regions. The incision method involves cutting and is suitable for all types of eyelids. In addition to surgically removing and reshaping the tissues in the eyelid, excess fat and loose skin can also be eradicated. The recovery period for patients who undergo the incision method of double eyelid surgery is comparatively longer than those who have the sutured surgery, with the full recovery time being between 3 to 6 months. During this recovery period, the initial puffiness of the eyelids post-surgery will ease and the double eyelids will gradually look more natural. Incision double eyelid surgery is permanent and long-term. The sutured method of attaining double eyelids is a non-invasive process that utilizes stitches to create creases on the eyelids. Commonly known as the ‘pinch method’, this is a popular option for those who are reluctant to go under the knife. However, the sutured method is only suitable for those with eyelids that are not droopy (Ptosis) or overly-thick. The recovery period for the suture method is short and patients can return to their normal daily activities within 2-3 days after surgery. This method of double eyelid surgery combines both the use of sutures and the full-incision technique to minimise scarring and for a more natural look. An incision is made to remove excess fat in the eyelids before stitches are used to tighten the skin and to create creases in order to form the double eyelids. It will take up to 2 weeks for patients to completely recover from the partial-incision surgery. Many different variations of the suture method have been created to cater to the diverse types of eyelids in order to achieve the best results. Created in 1933, the Hata method is suitable for those with very thin eyelids and makes use of 3 knotted stitches at different points on the eyelid to form a double eyelid crease. While it may be an old method, it is still being used in modern cosmetic surgery. This is a more secure way to create double eyelids with the use of more sutures and the thickness of the eyelids can be adjusted as well. The results are natural-looking double eyelids and there is a short recovery period. 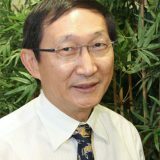 A technique invented in 2001 by Dr Akihiro Minami, a famous plastic surgeon in Japan, the Double Suture and Twist method is now commonly performed by surgeons in Japan, South Korea and in Singapore. It allows for minimal scarring and the recovery period post-surgery is short. The entire process takes about 30-40 minutes to complete and it is a fairly straightforward procedure. Firstly, a local anaesthetic is applied to the eyelids. Next, the surgeon will make 3 tiny holes in the upper eyelids through which 2 stitches will be threaded. These two sutures will be twisted around each other 4 to 5 times before being tied together to fashion a fold on the eyelid. With the sutures in place, the skin on the lower part of the eyelid is drawn backwards to create a crease when the patient opens his/her eyes. Pros - Besides the fact that it is obviously less invasive than the incision method with no cuts being required, the suture method of double eyelids surgery is also quick, with most procedures being completed in less than an hour. Another point to note about Double Eyelid Stitching is that it takes less time to recover from the procedure. While it takes up to 6 months to recover from a surgery involving incisions, the recovery time for the suture method is only 3 - 7 days. The suture method of double eyelid surgery is also reversible. Should the patient fail to adapt to their double eyelids or they feel uncomfortable with them, they can opt for a procedure to revert to the eyelids they had prior to the surgery. Cons - Double eyelids stitching ensure temporary but extended results (it can last up to 5 years) but ultimately it is still a procedure that will not offer a permanent result and further surgery is required once the creases that form the double eyelids disappear over time. Unlike the incision method which is able to address other issues in the eyelids such as being able to remove excess fats and loose skin, the suture method is effective only in the formation of creases in the eyelids that mimics double eyelids. Therefore, only those with thin eyelids (i.e. absence of loose skin, droopy eyelids) can undergo this procedure. If your eyes are heavy-lidded, meaning your upper eyelids have a more fatty tissue, you only have one option when it comes to double eyelid surgery and that is to go for the incisional method. This is because the incisional method allows for the extra skin or fats on the eyelid to be removed to create more aesthetically-pleasing double eyelids. The non-incisional method will not work on those with heavy eyelids as the stitches that are created will not be able to take the weight of the extra tissues and is very likely to come undone very easily. The post-surgery downtime for the incisional and non-incisional methods vary in terms of the duration of the actual procedure, healing period and the time it takes for the effects to look natural. The incisional method of double eyelid surgery lasts 45 to 60 minutes in the procedure room, has a downtime of 2 to 4 weeks post-surgery and will take up to 6 months for the effects of the surgery to look natural as the swelling gradually subsides. 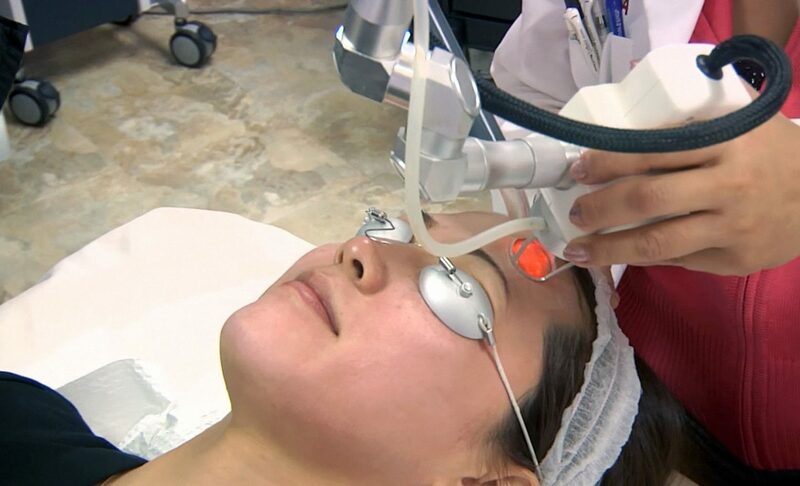 The non-incisional method will take less than 30 minutes in the procedure room, set you back 5 to 10 days as you rest and heal, and you will have natural-looking double eyelids within 2 months. Some may regret their decision after they have had the surgery. 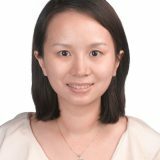 Fortunately, for those who would like to reverse the effects of their double eyelid surgery, it is possible to do so, but only if they have opted for the non-incisional method. Conversely, if you are dead set on the surgery and are very sure that you will not want to undo the effects, then the incisional method is the way to go as the effects are permanent. The non-incisional method of double eyelid surgery is the more popular type that many opt for. This is due to it being less invasive with no cutting required, as well as there being less scarring and swelling, shorter downtime post-surgery. Most importantly, it is reversible. 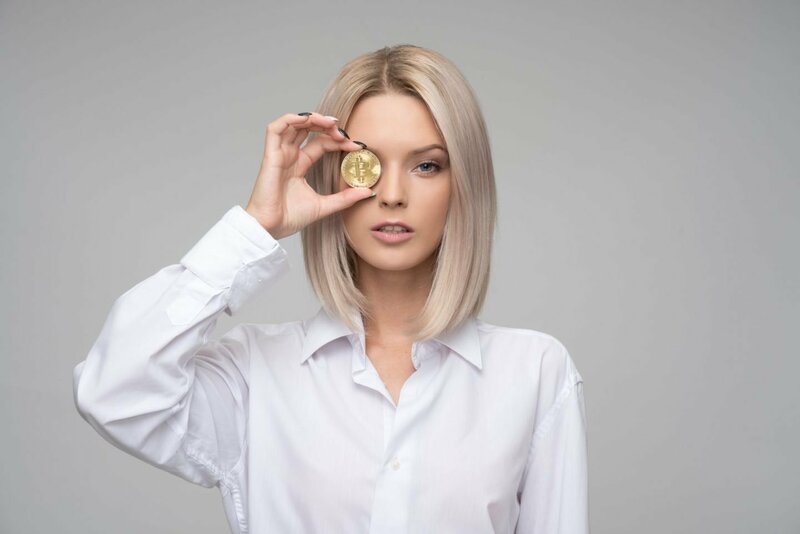 When it comes to the cost of non-incisional double eyelid surgery, it is less than the incisional method and it will set you back $3,200 to $3,500. The incisional method of double eyelid procedure is priced at $3,800 to $4,500. The outcome of a double eyelid surgery, whether it is the incision or suture method, is largely dependent on the skills of the plastic surgeon performing the procedure. It is therefore important that before anyone makes the decision to undergo double eyelid surgery, there has been ample research done on the procedures involved in and the implications of the surgery, as well as on the experience and expertise of the cosmetic surgeon. 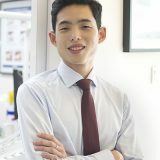 It is important to take into consideration the factors mentioned above when deciding if you should undergo the incisional or non-incisional method for double eyelid surgery.